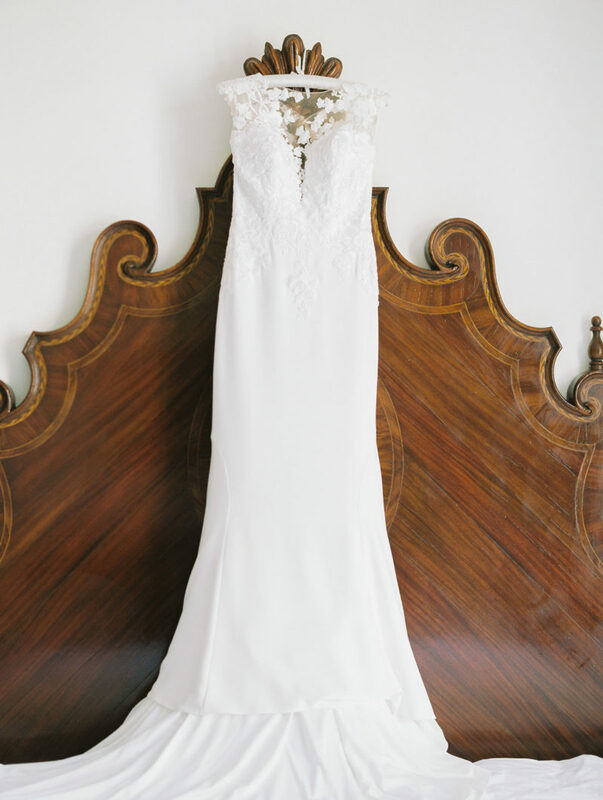 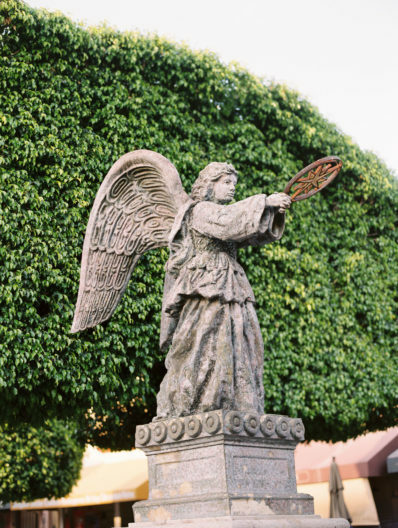 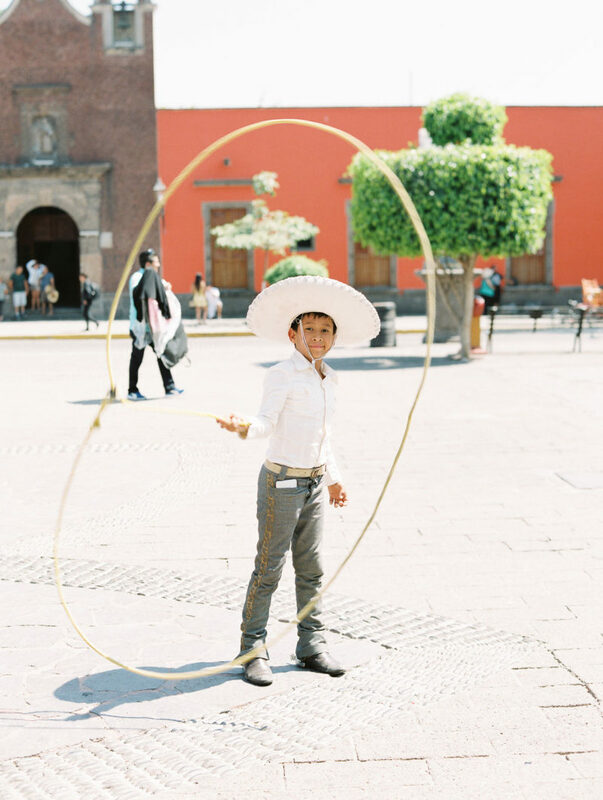 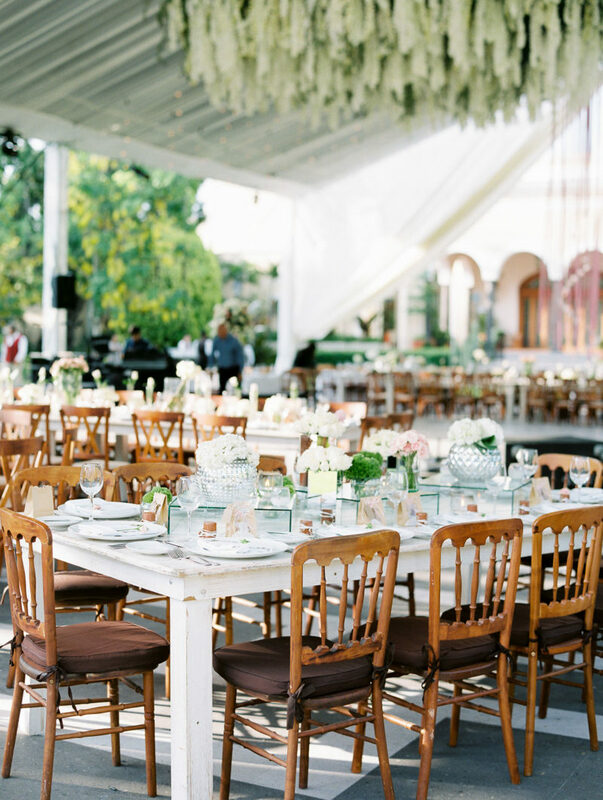 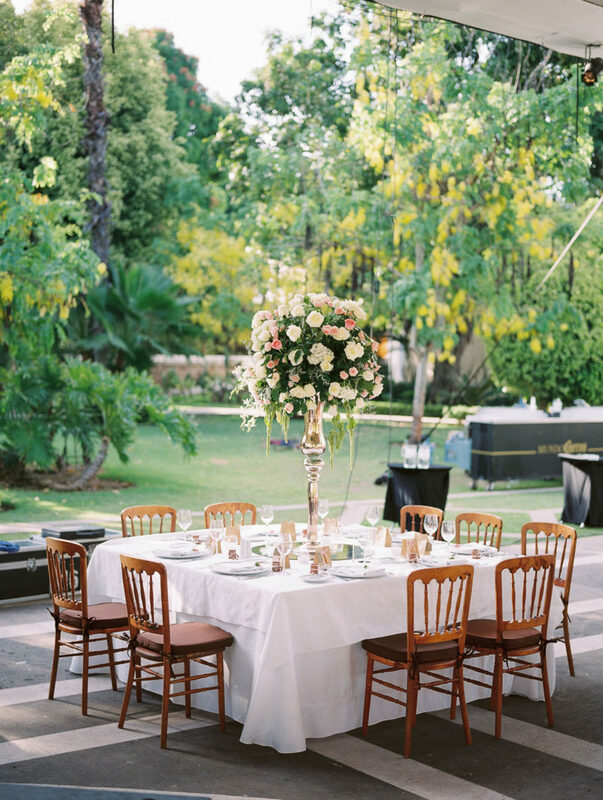 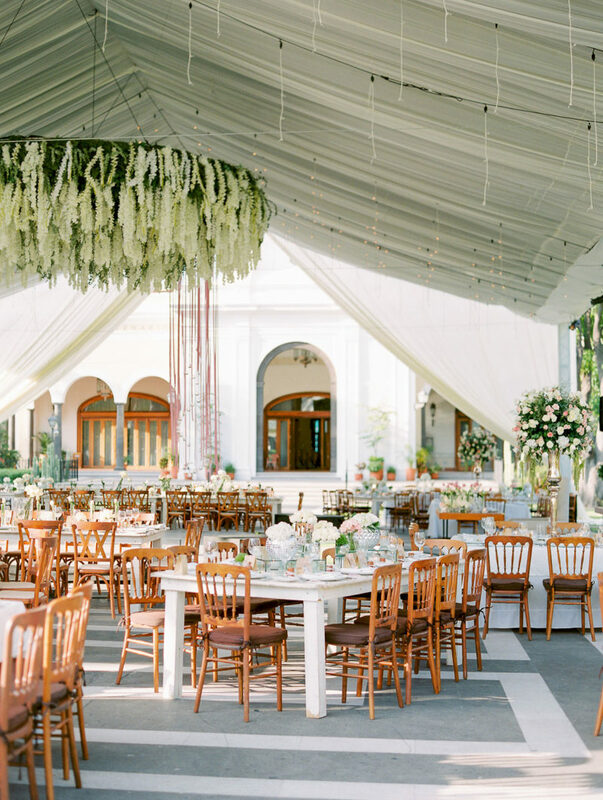 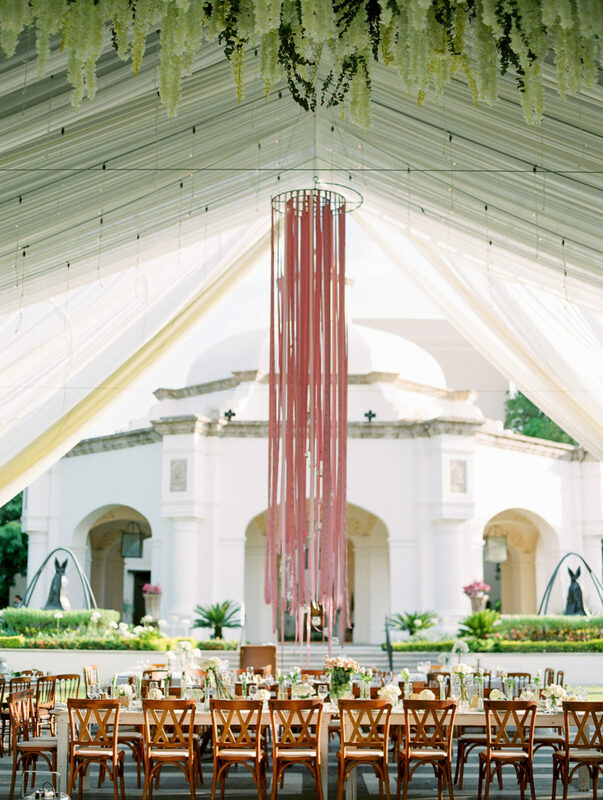 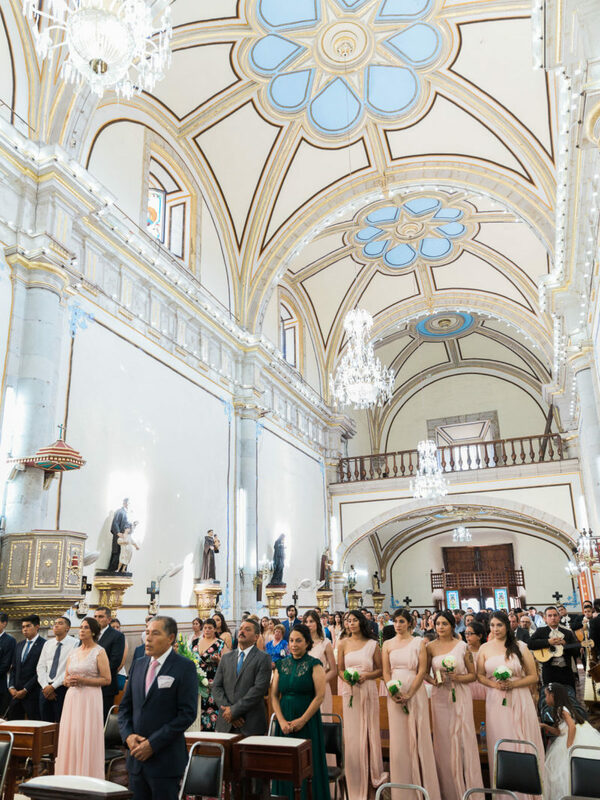 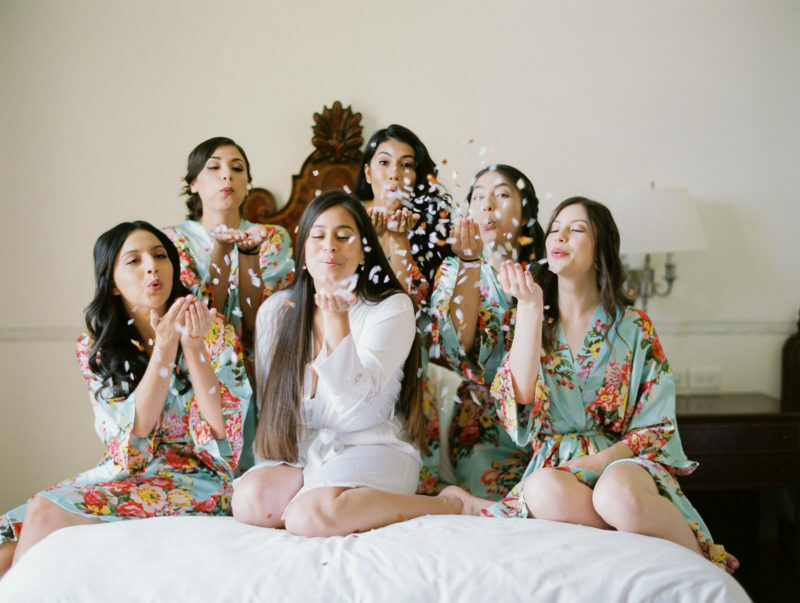 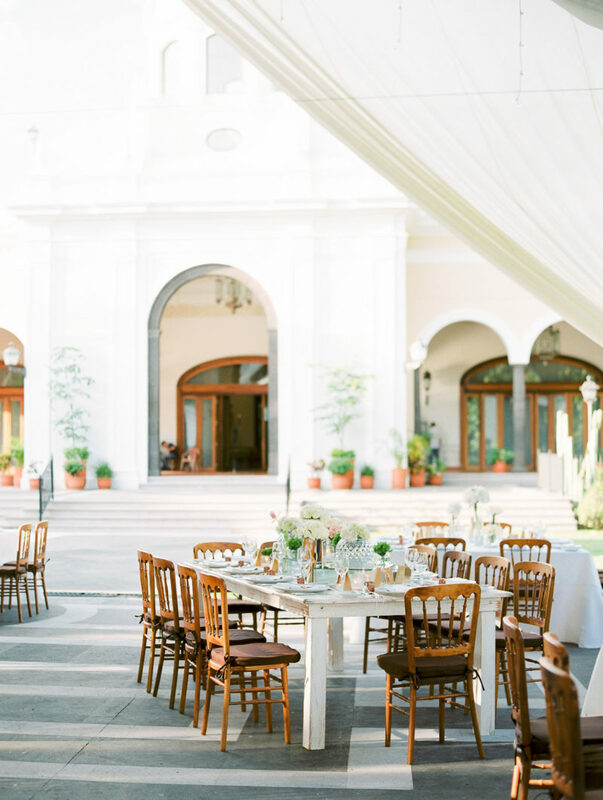 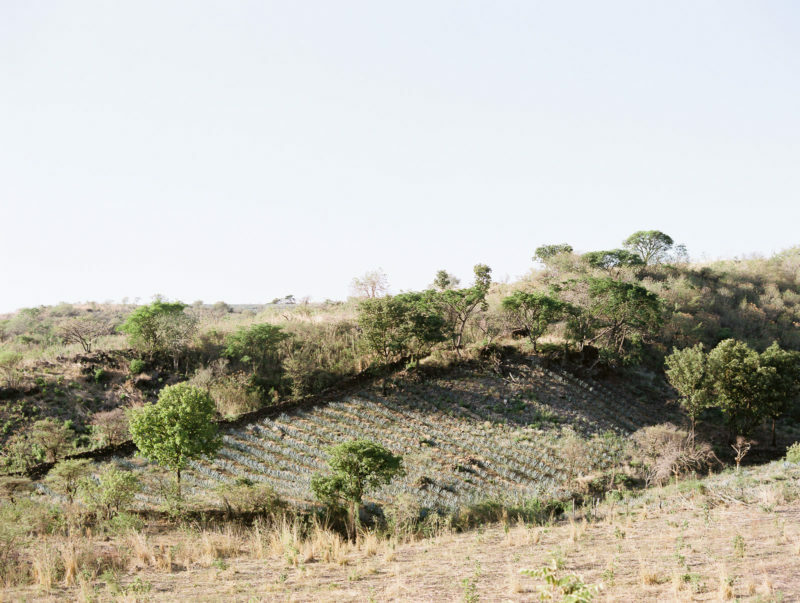 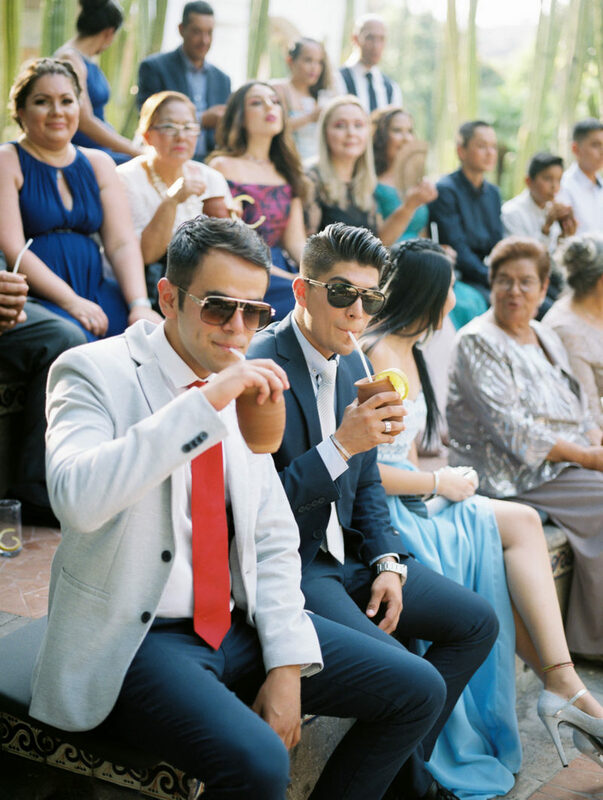 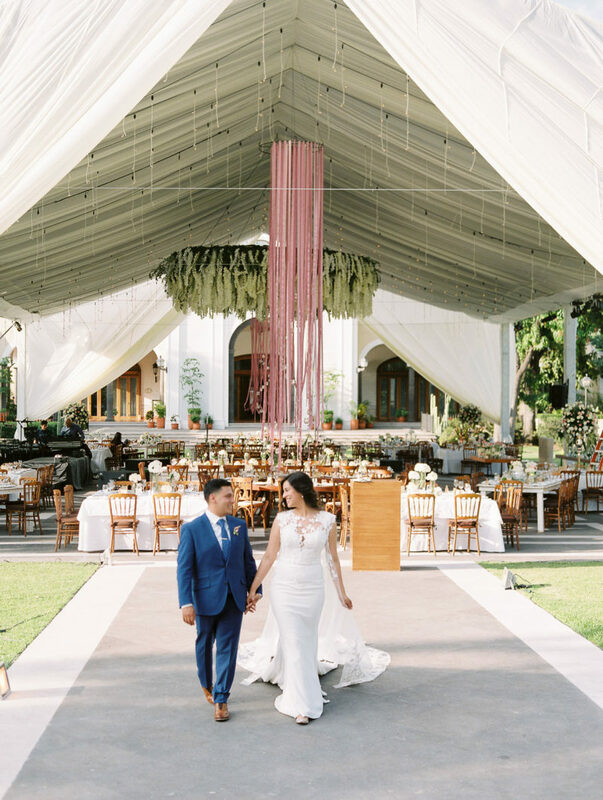 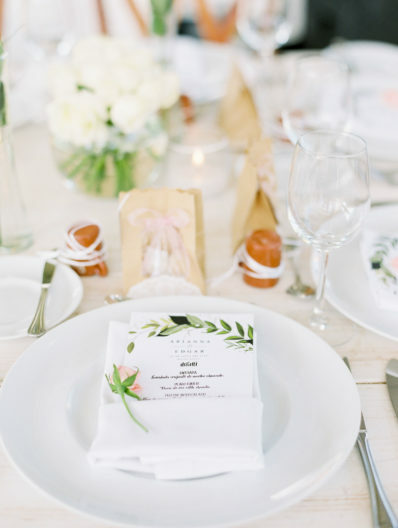 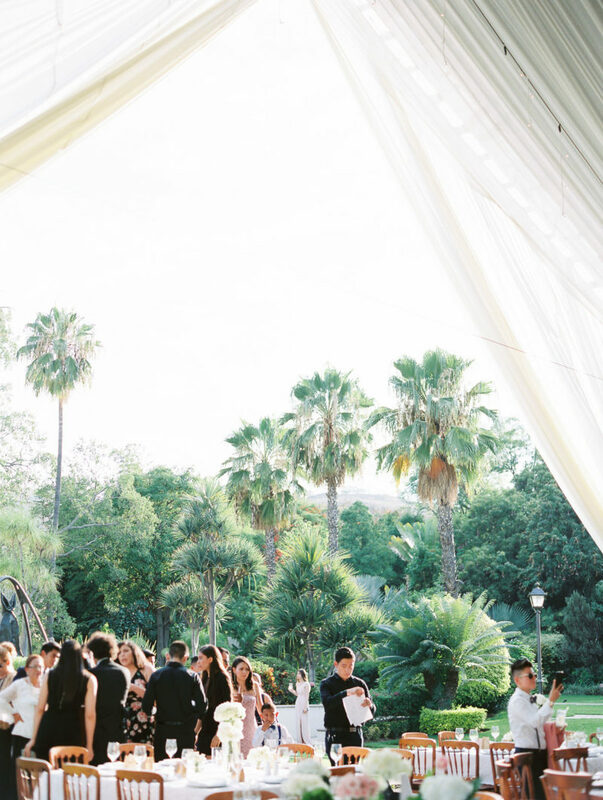 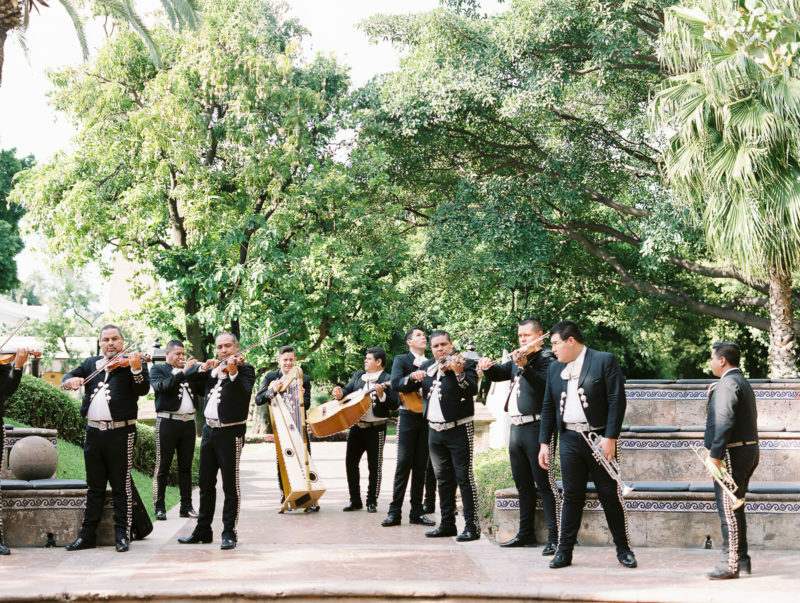 This Hacienda El Centenario wedding, in Tequila Jalisco has my heart. 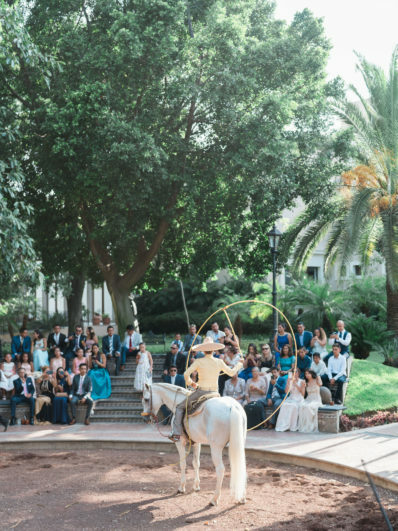 I might’ve left it there. 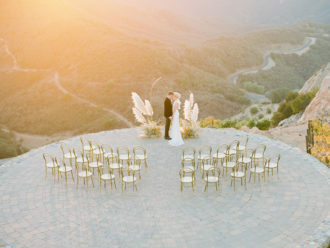 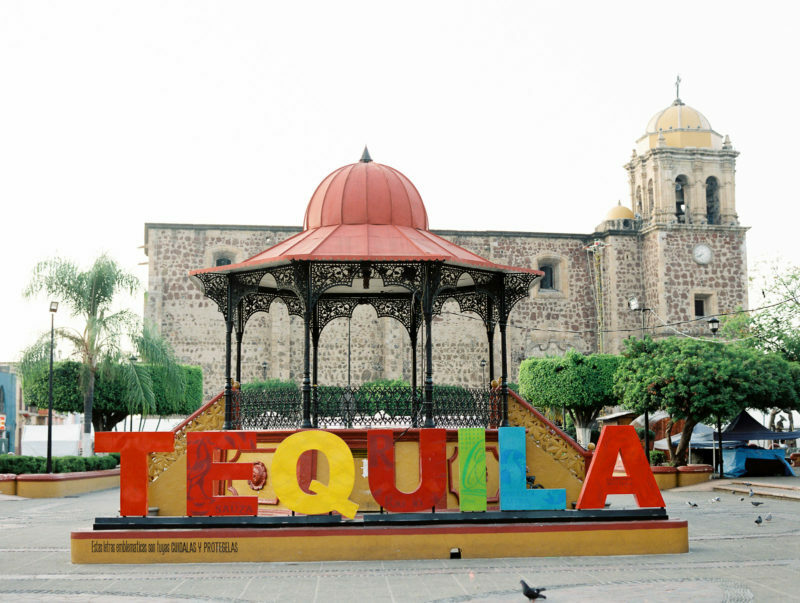 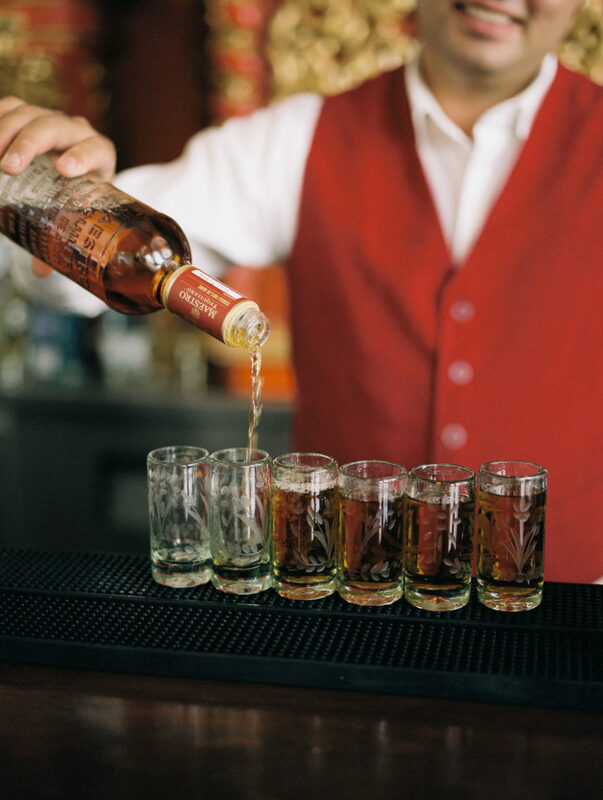 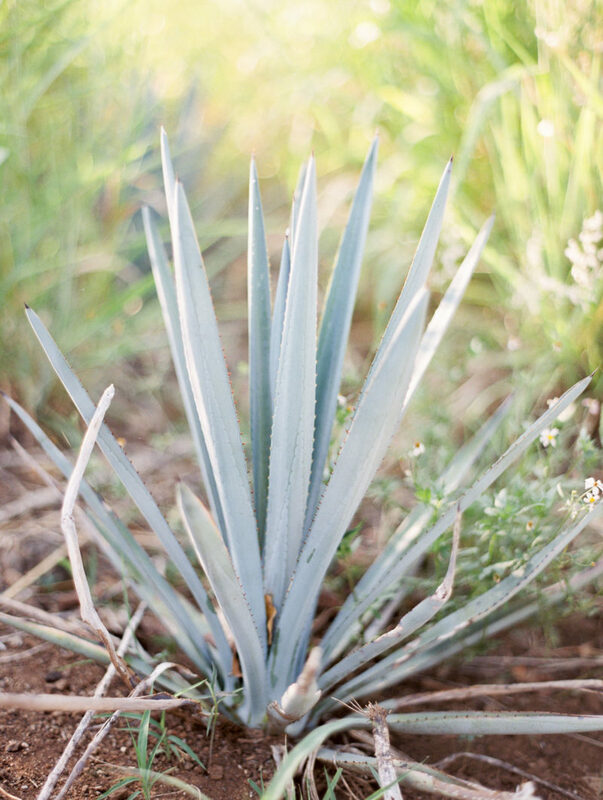 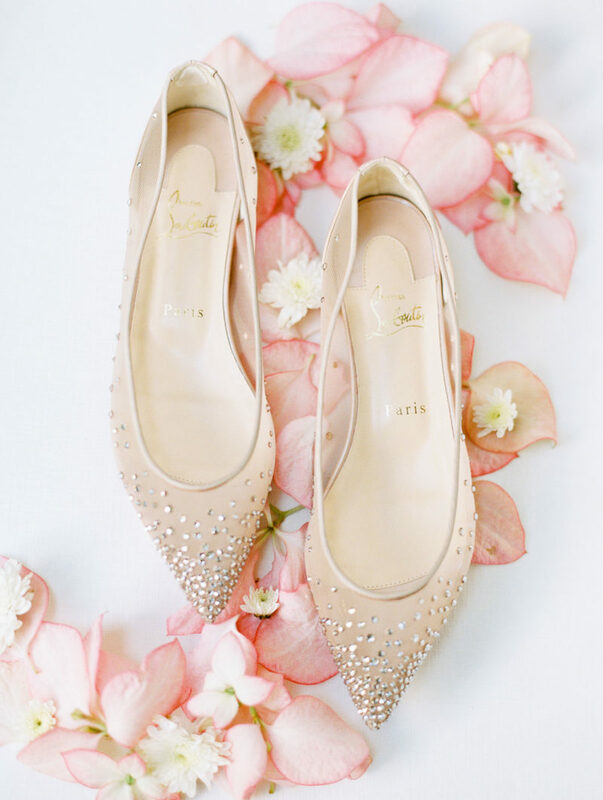 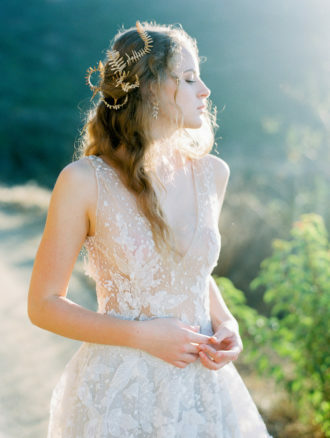 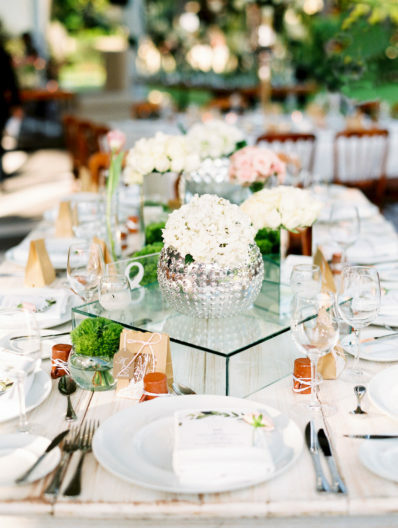 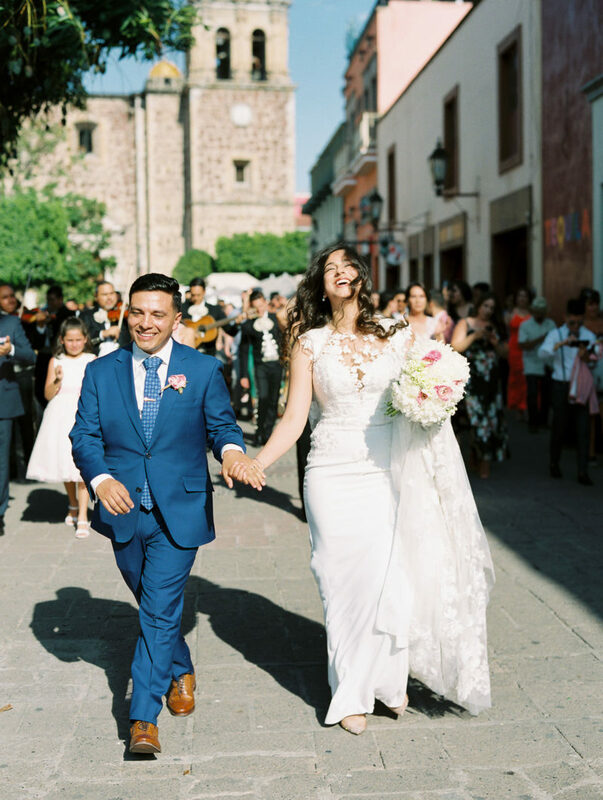 Where do I even begin with this gorgeous Tequila wedding? 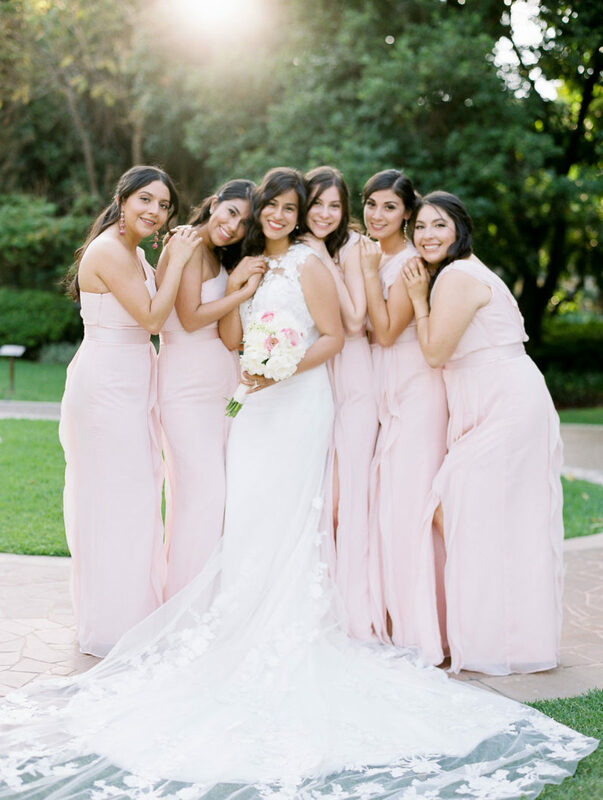 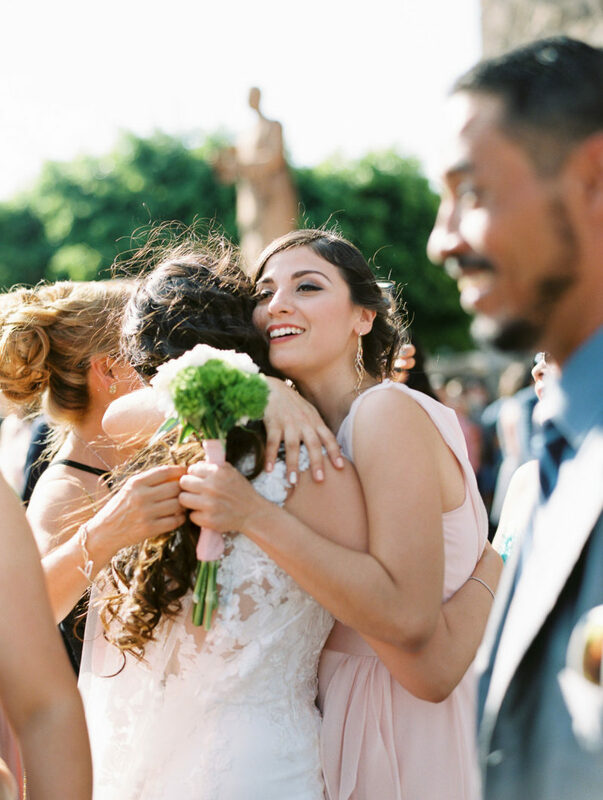 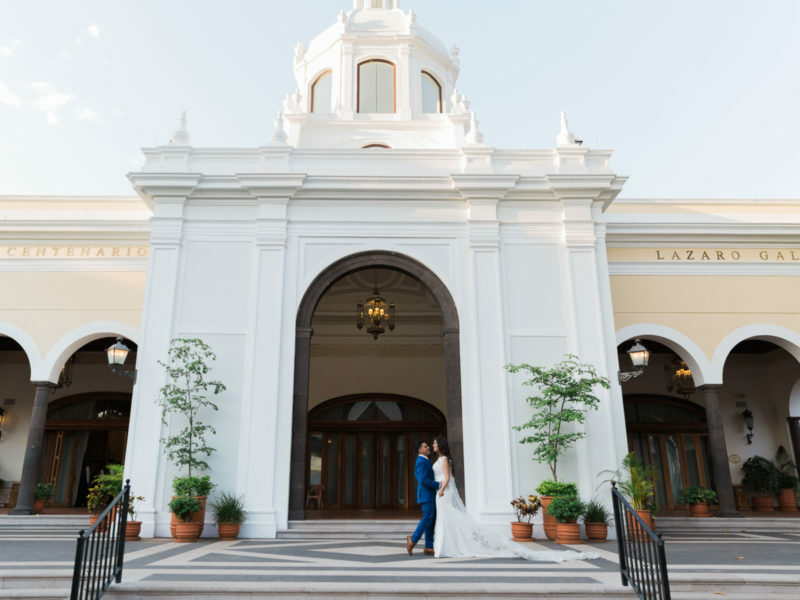 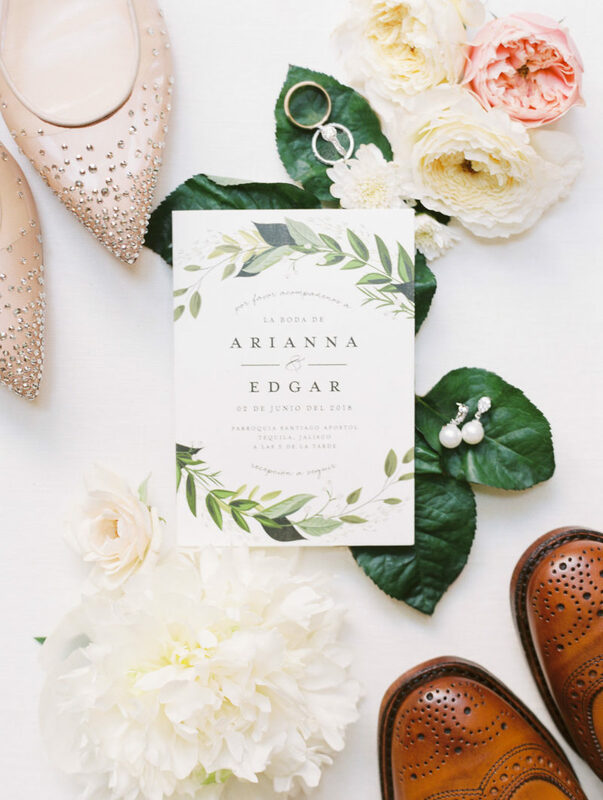 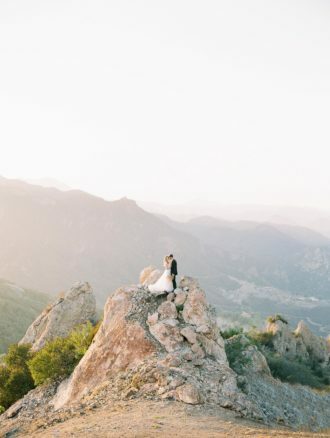 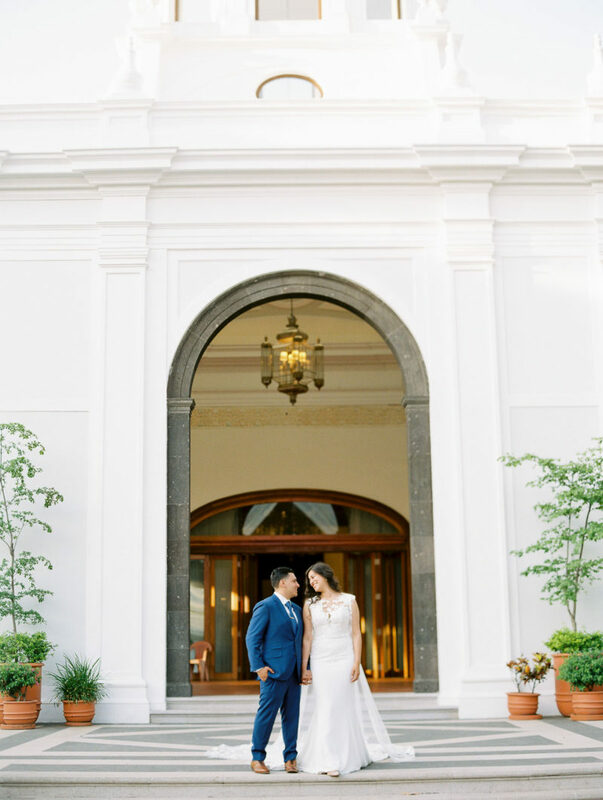 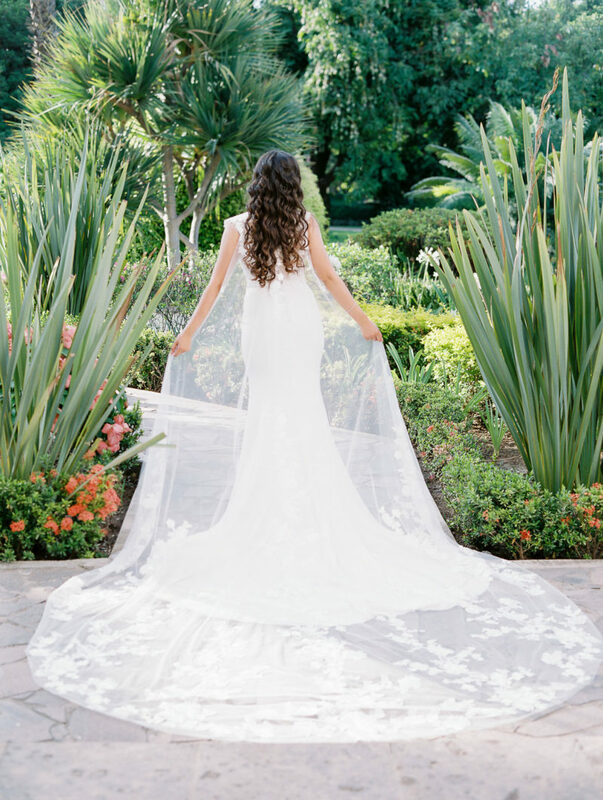 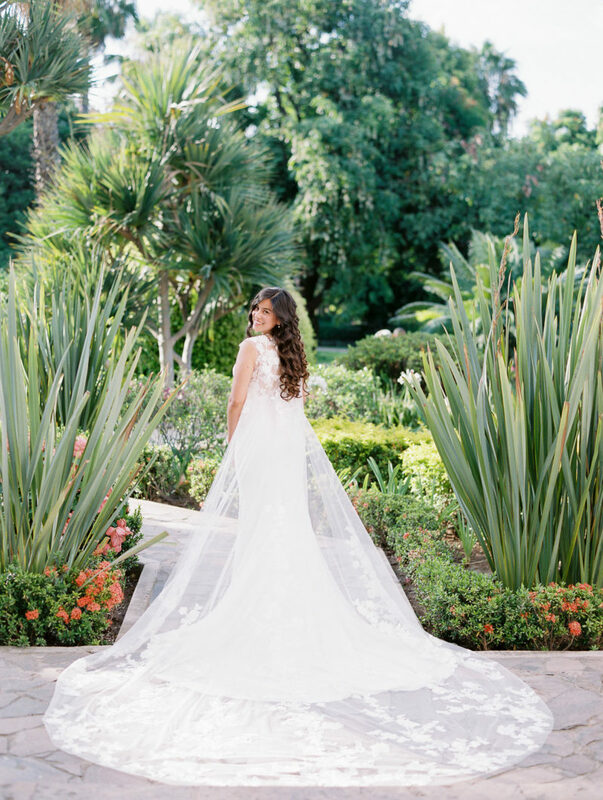 First of all, Arianna and Edgar-this destination wedding was off the charts incredible! 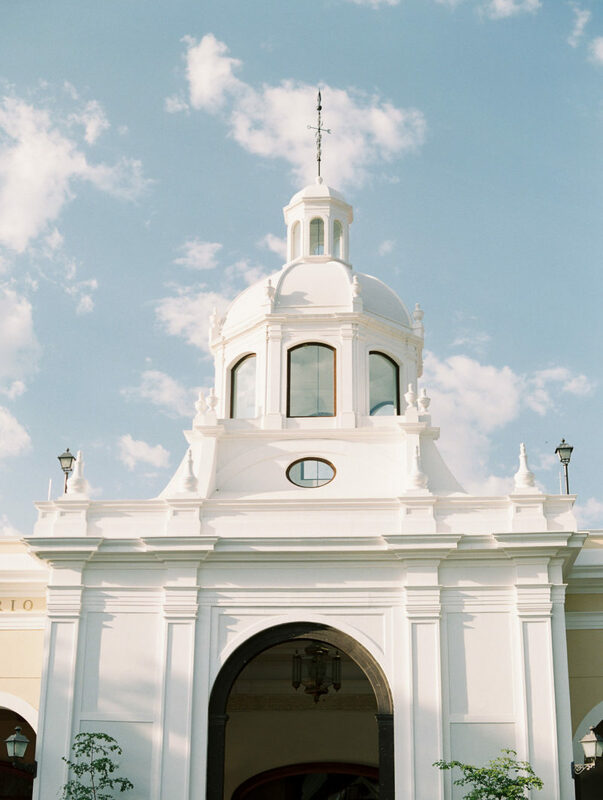 I didn’t ever want to leave! 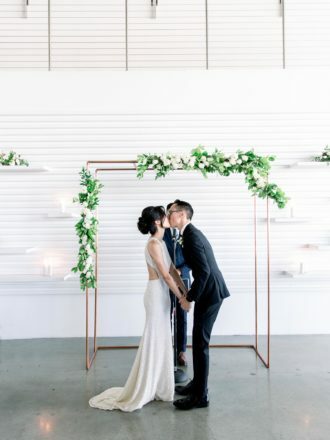 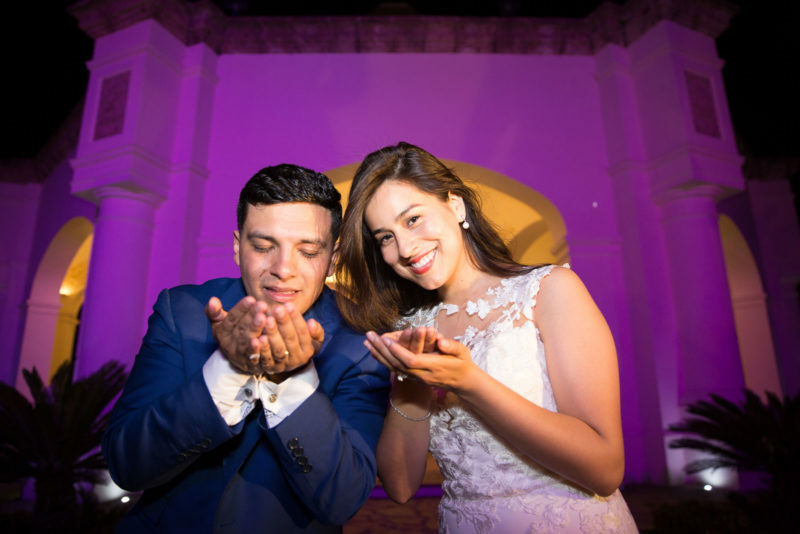 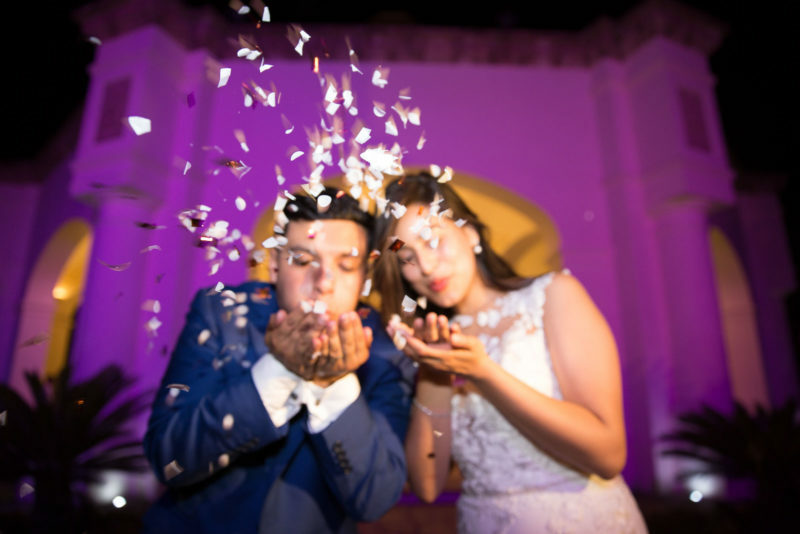 Arianna and Edgar both wanted their guests to have an experience–and judging by the pictures their guests truly did! 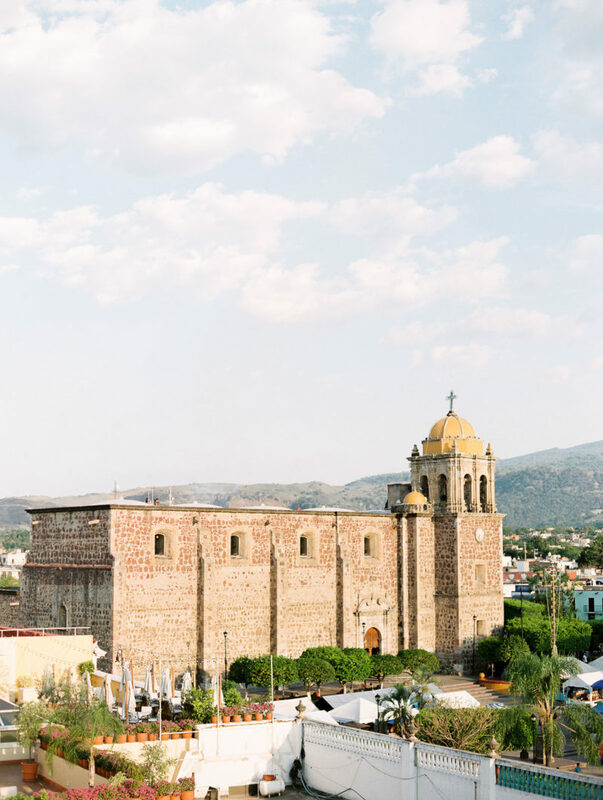 The day started with getting ready at the Hotel Solar De Las Animas, which has a beautiful rooftop view of the entire city. 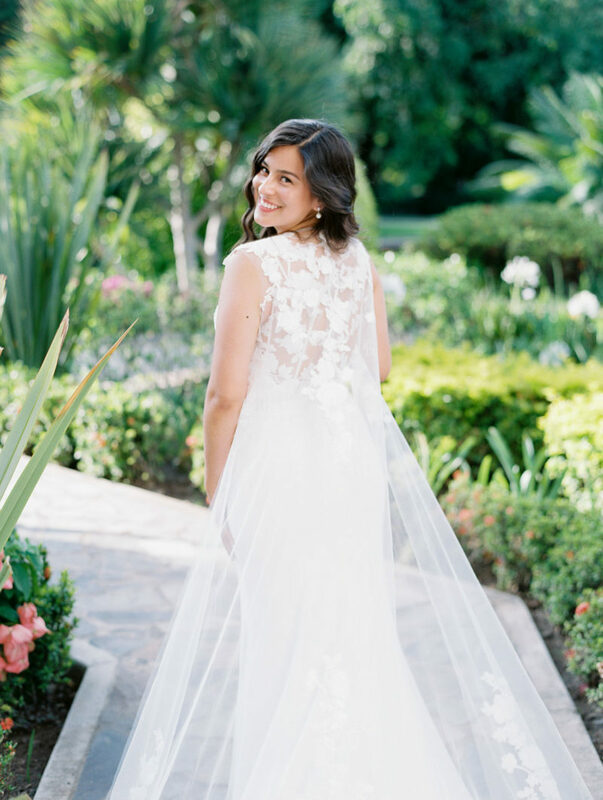 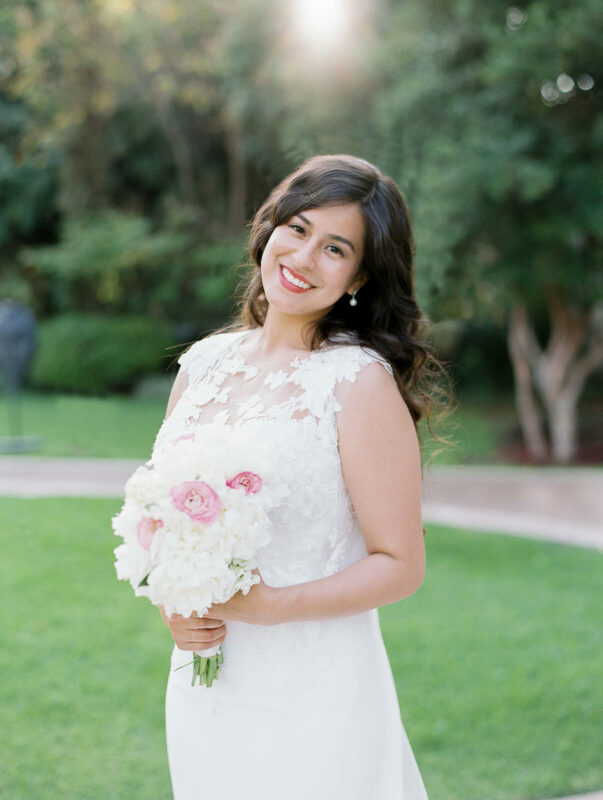 Arianna was glowing and looked amazing in her Pronovias wedding dress. 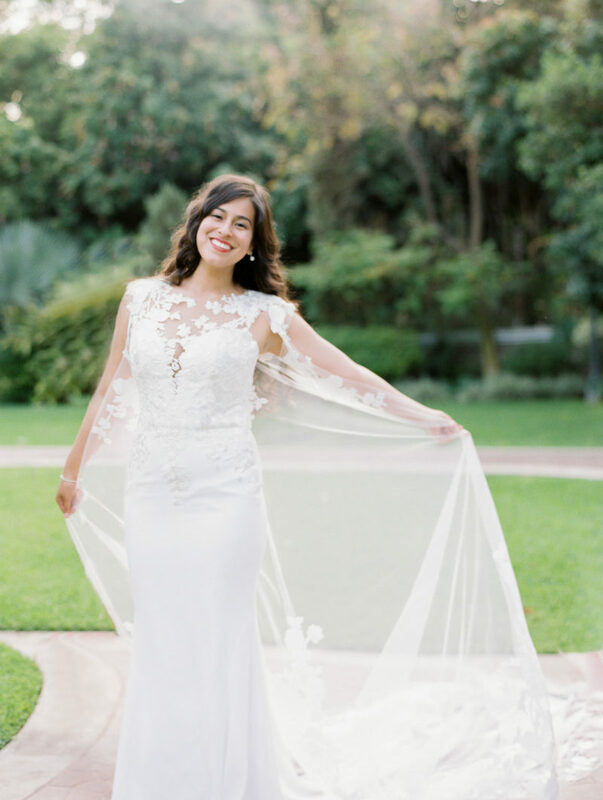 She wore this cathedral length cape that was spectacular. 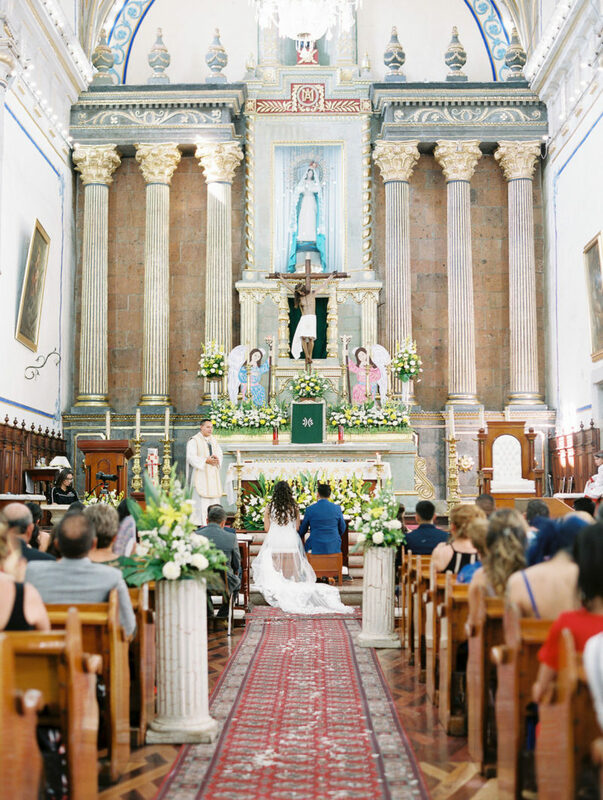 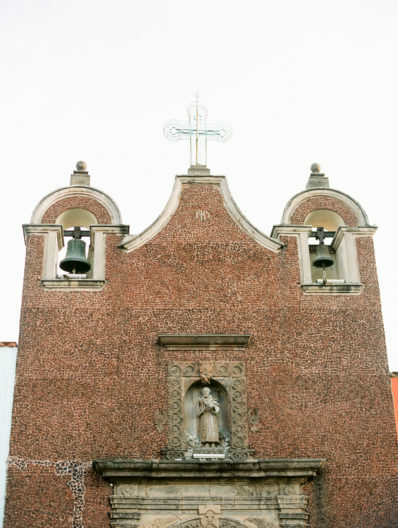 From there we walked to the cathedral Parroquia Santiago Apostol for their beautiful ceremony. 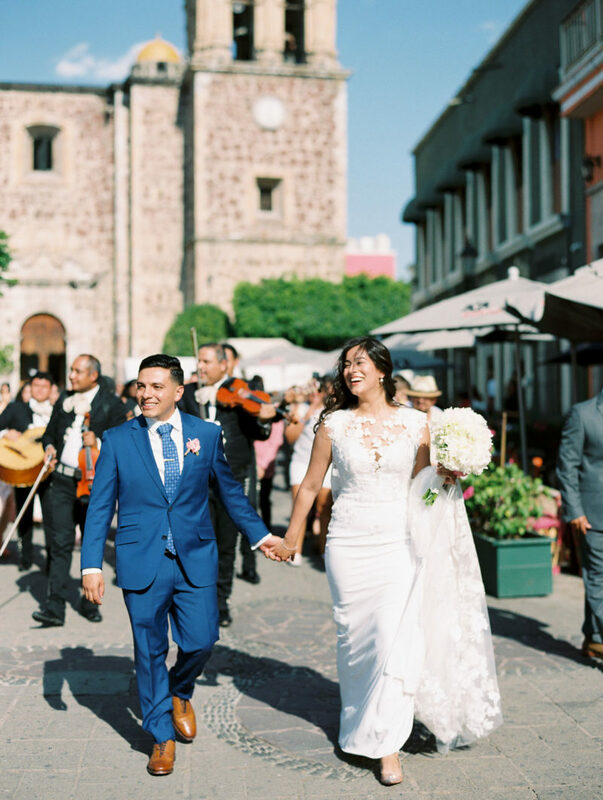 The lined cobblestone streets made me feel that I was back in time and I became so nostalgic as my own memories came flooding back to when I was a child visiting my grandmother in Mexico. 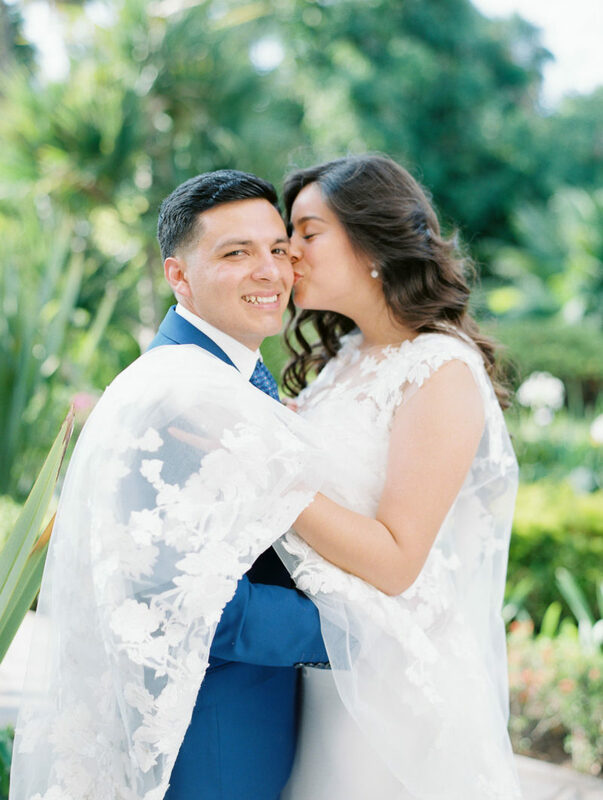 During the ceremony it warmed my heart as I watched Arianna and Edgar exchange heartfelt looks at one another. 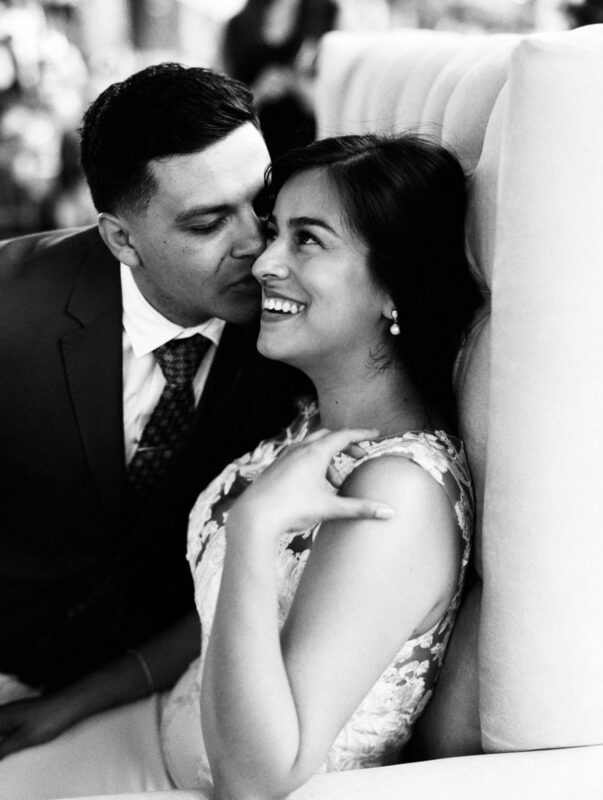 They are two people so very much in love with one another. 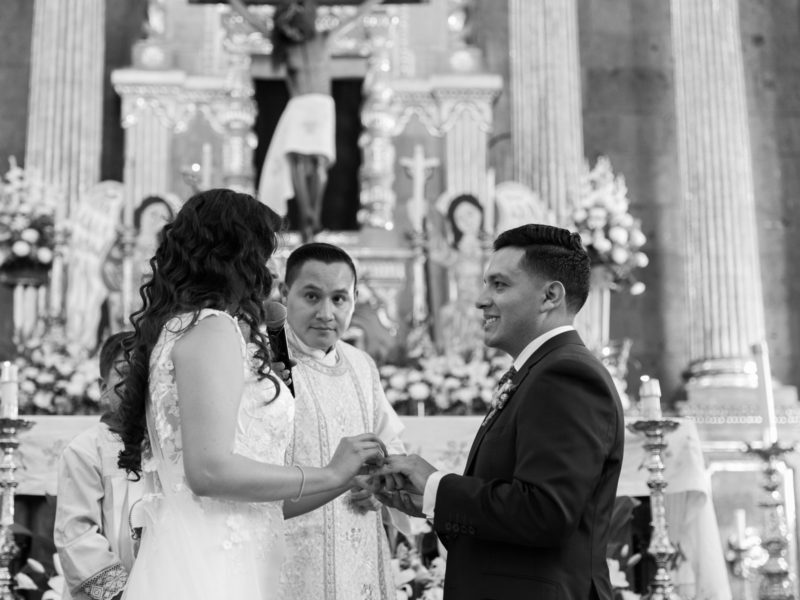 Even the way Edgar would hold Arianna’s hand as the priest spoke to them. 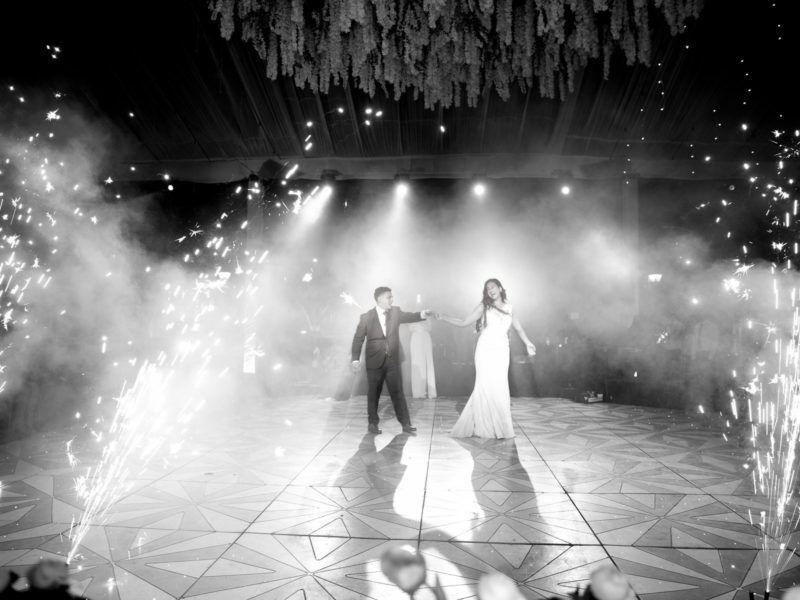 They were both so in the moment, trying to capture and remember it all. 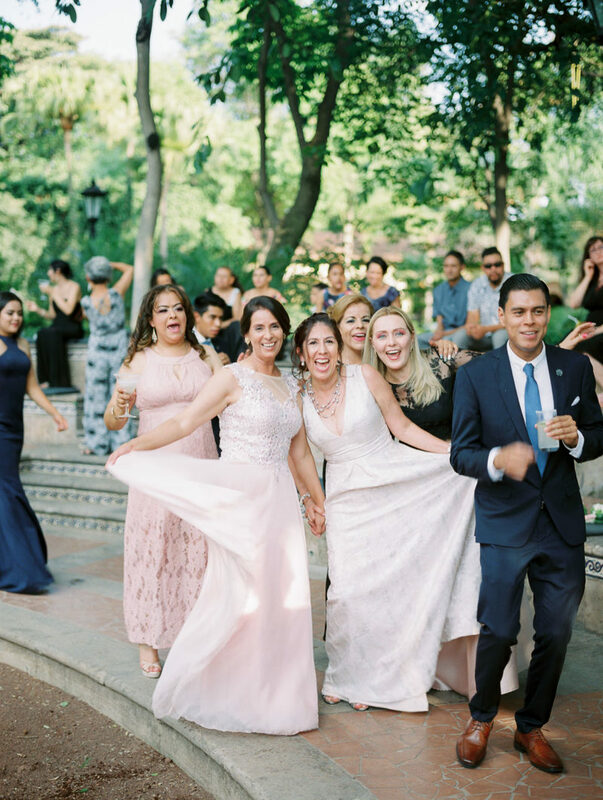 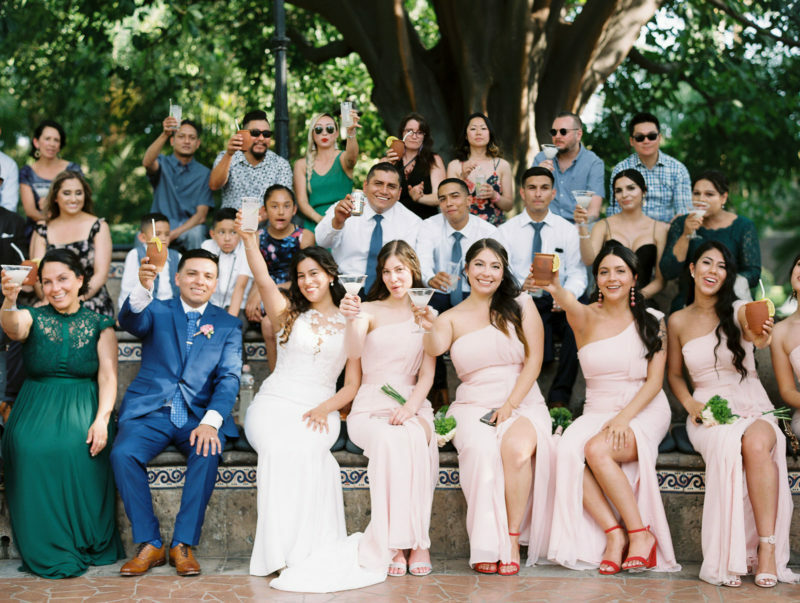 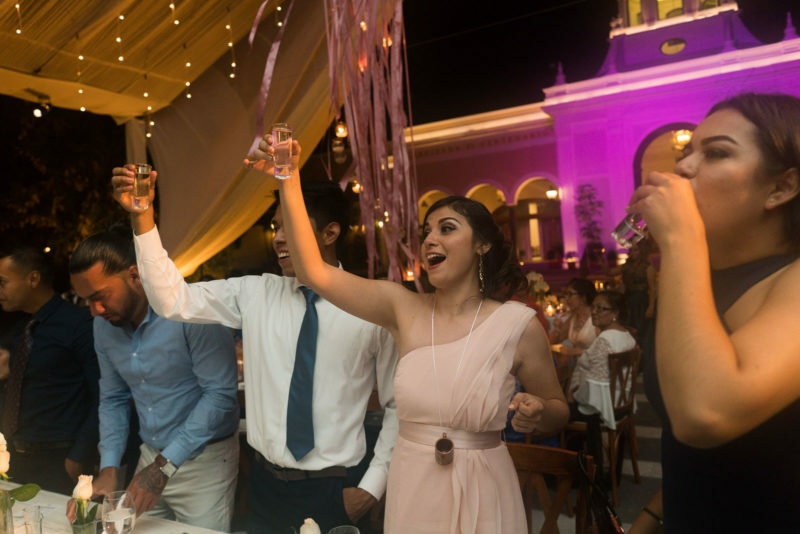 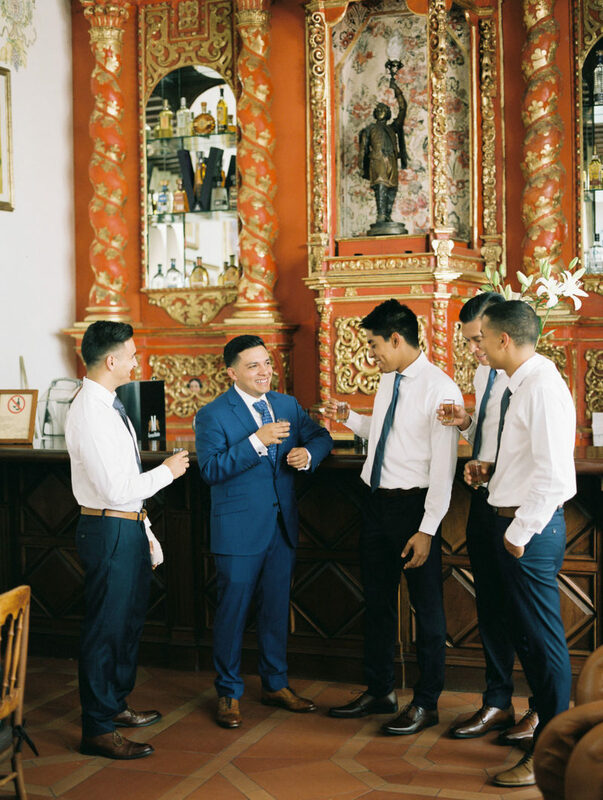 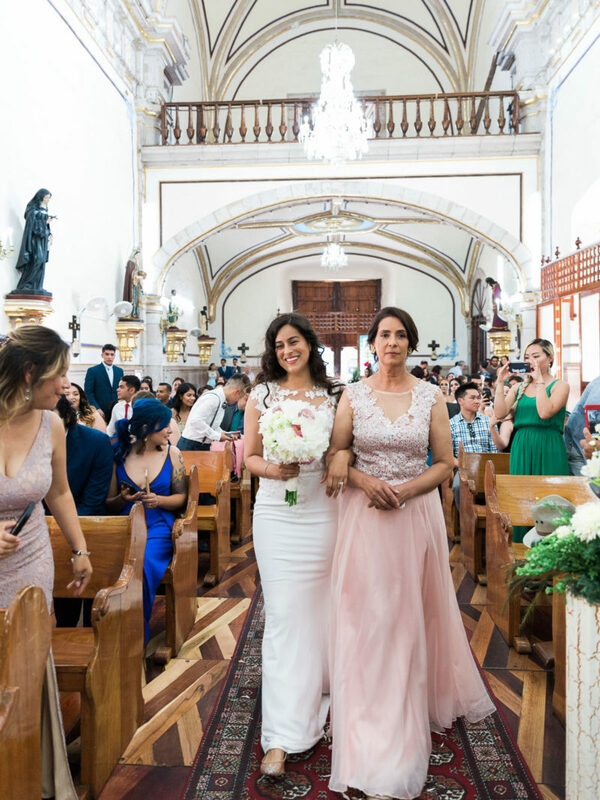 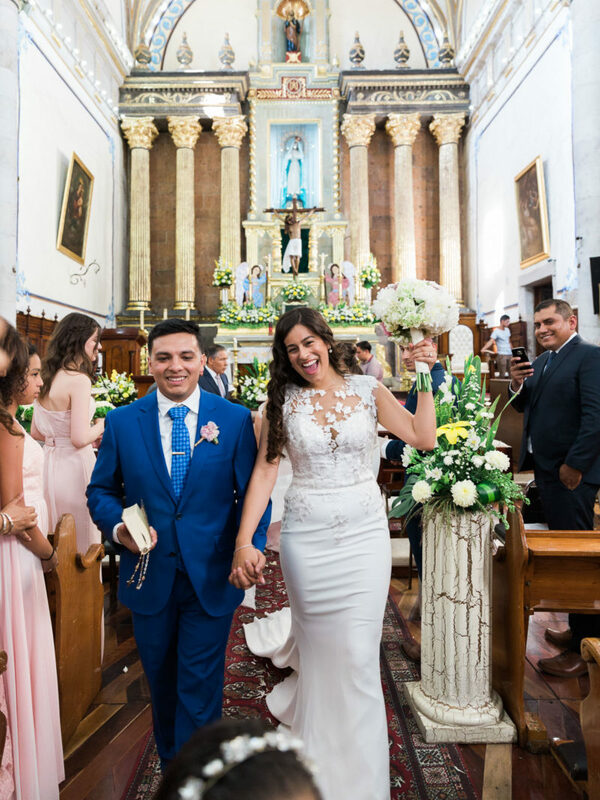 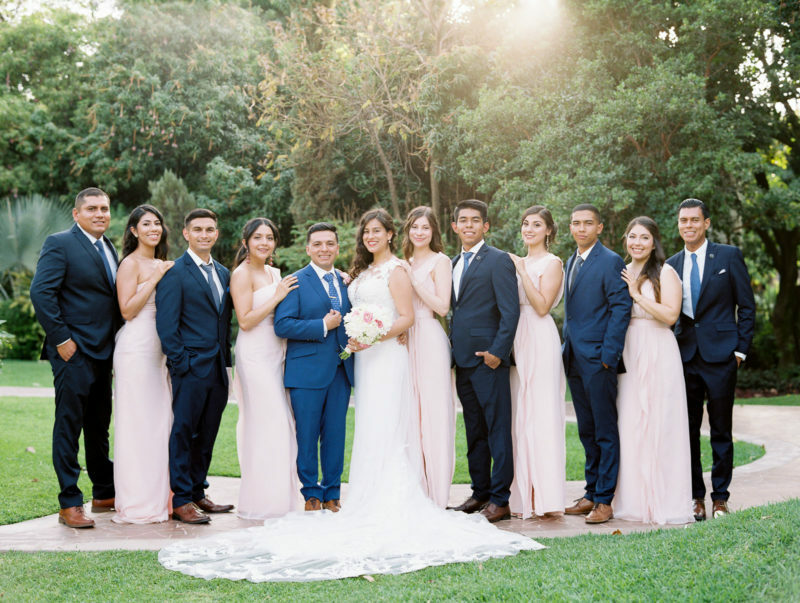 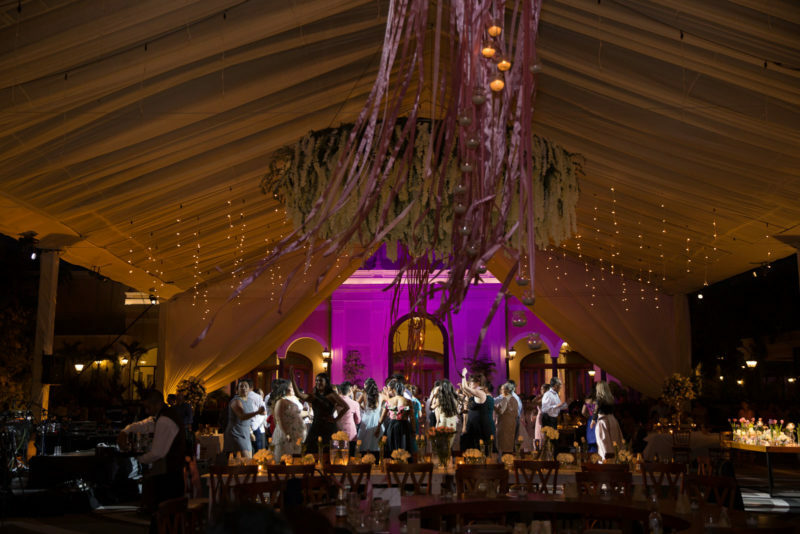 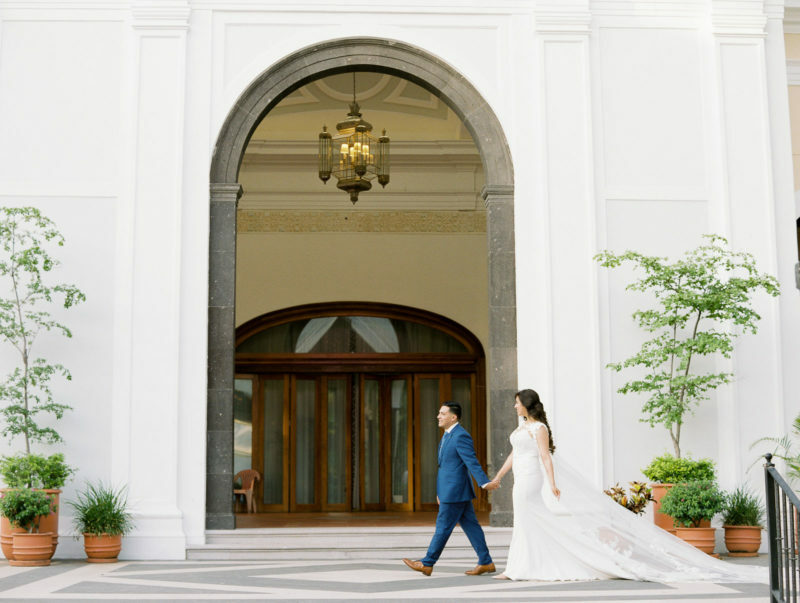 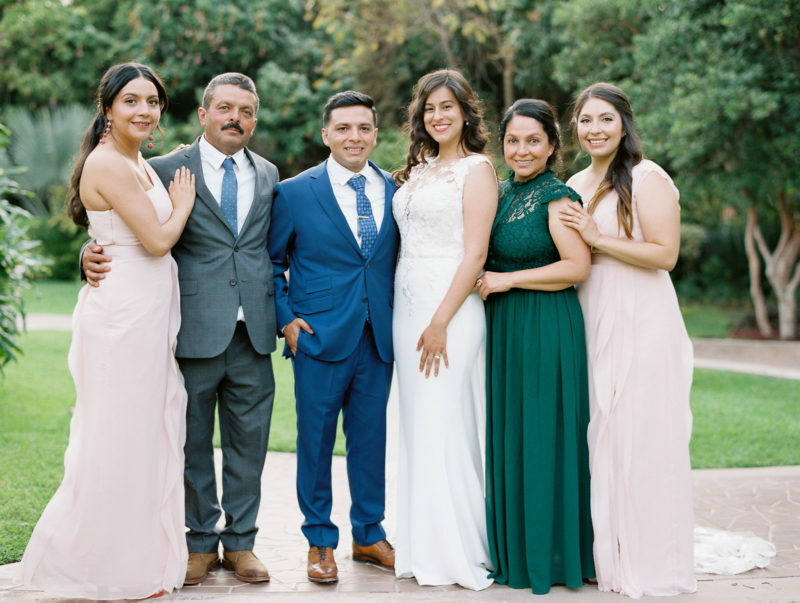 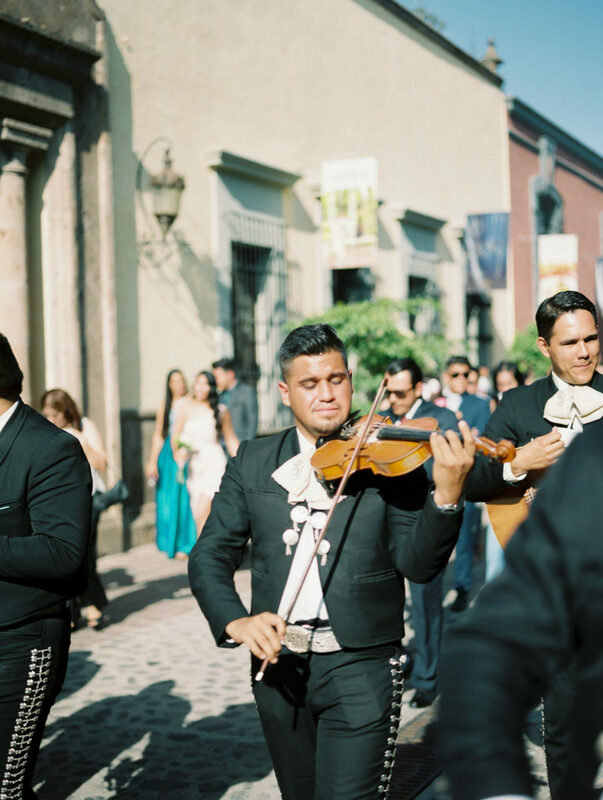 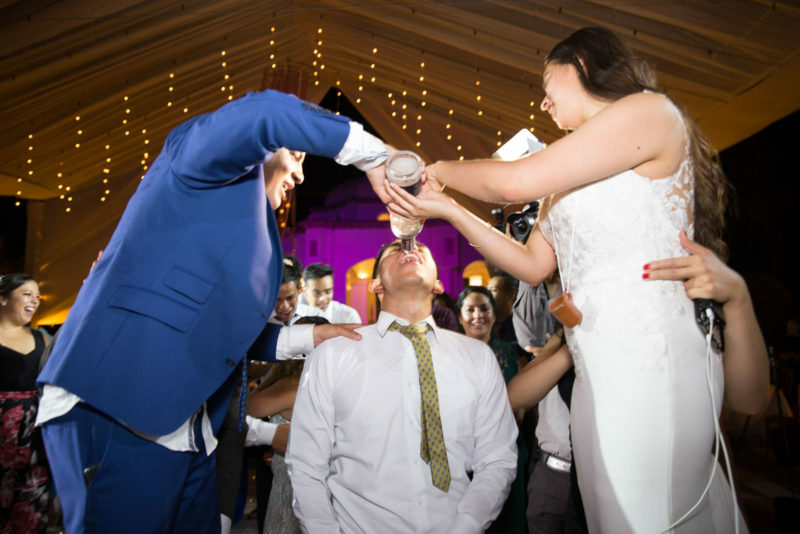 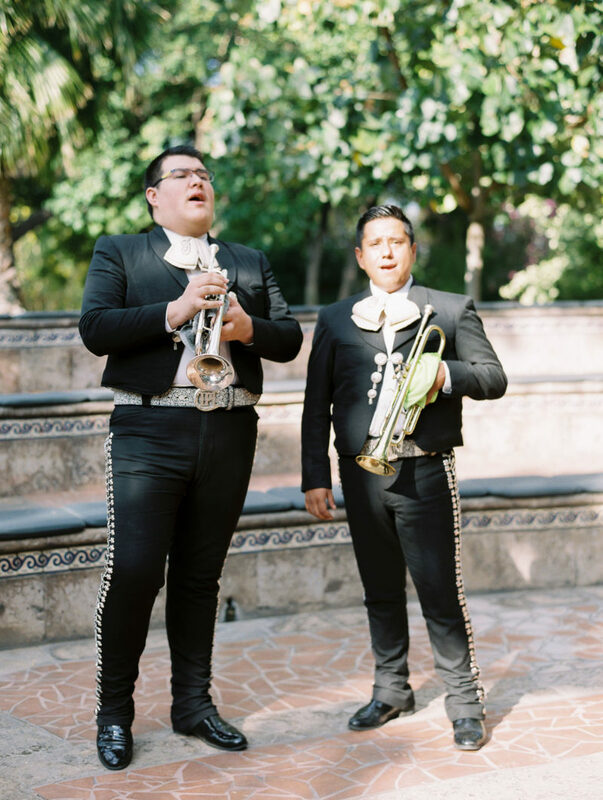 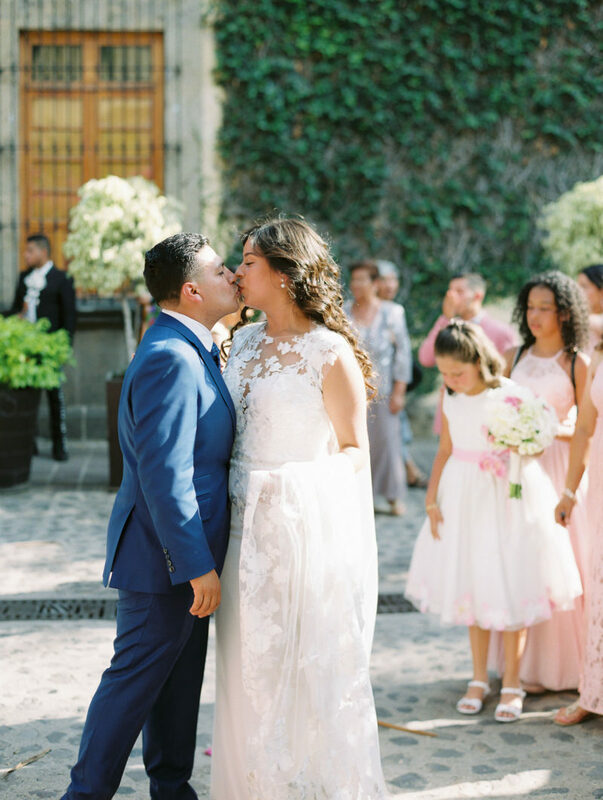 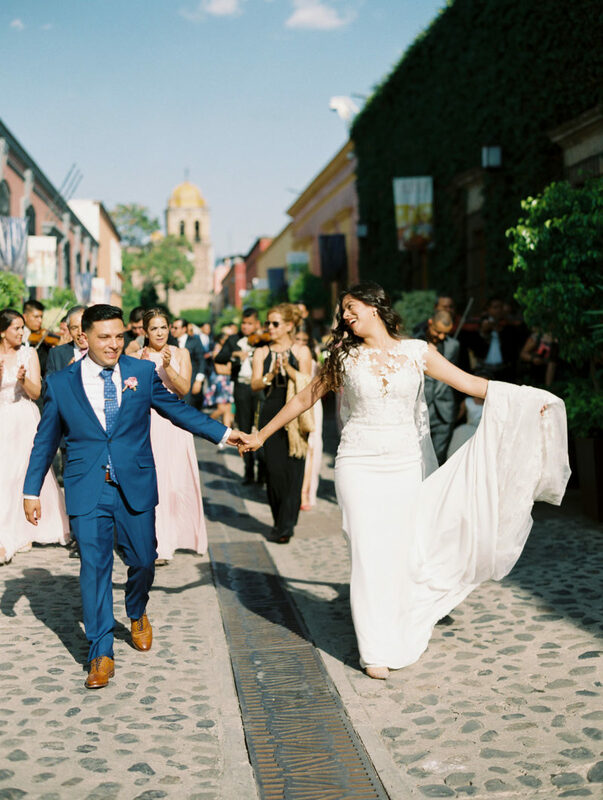 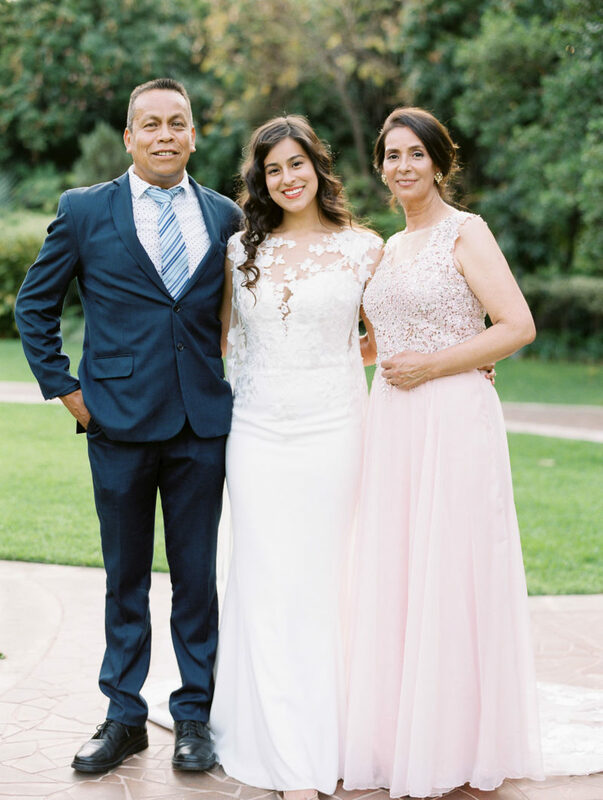 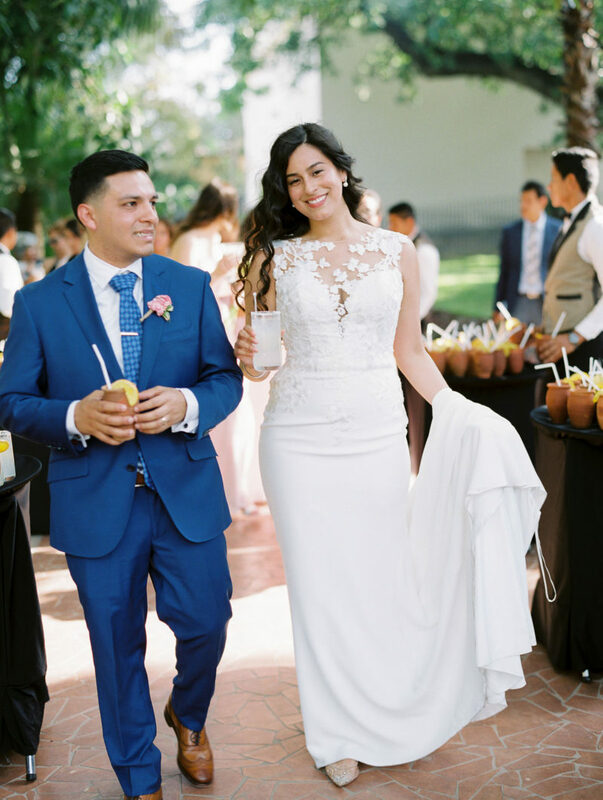 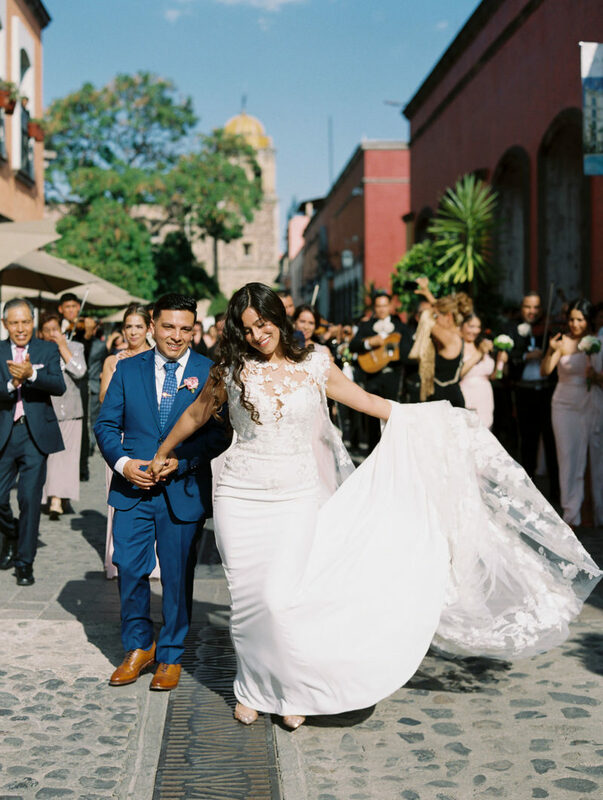 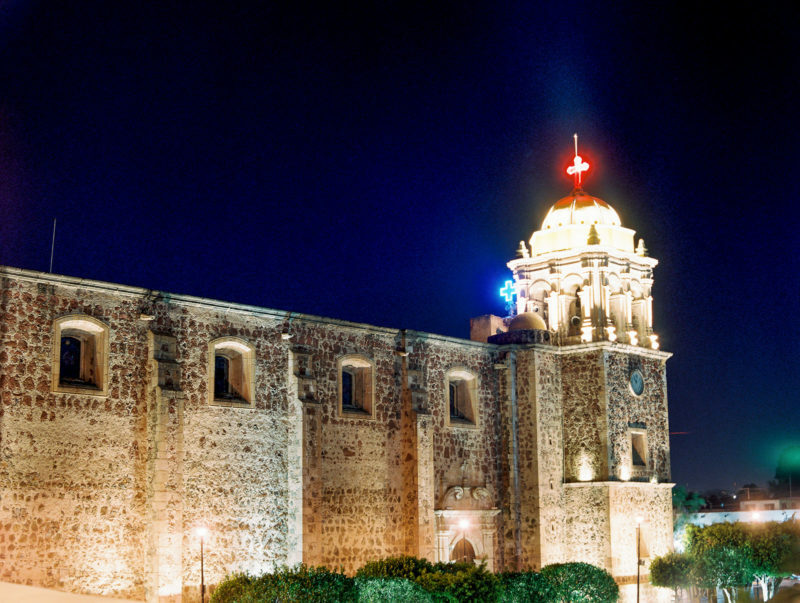 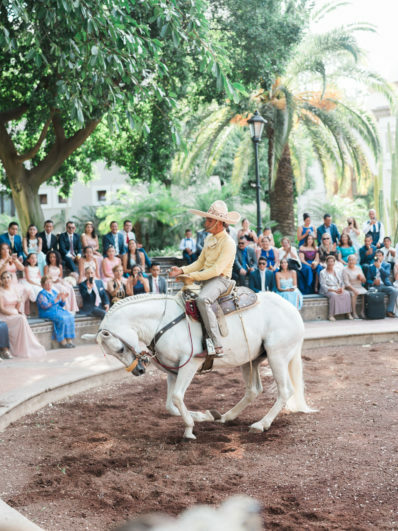 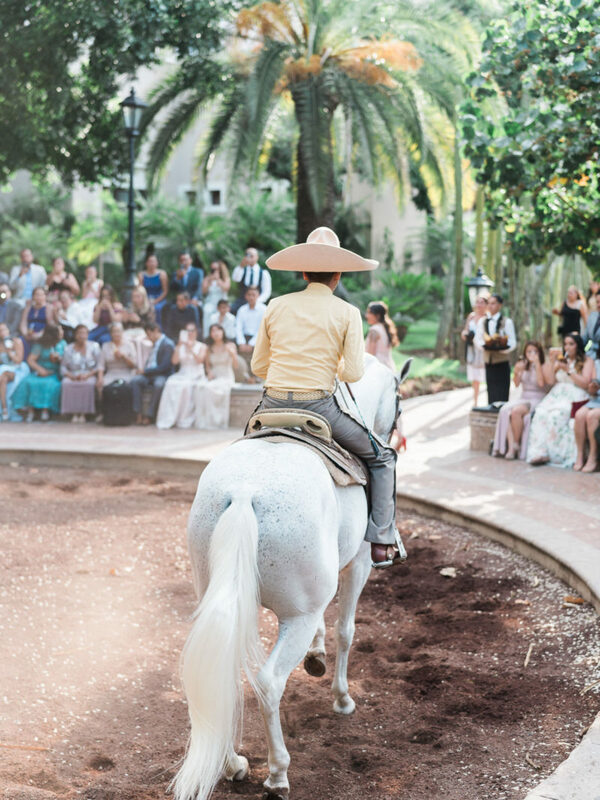 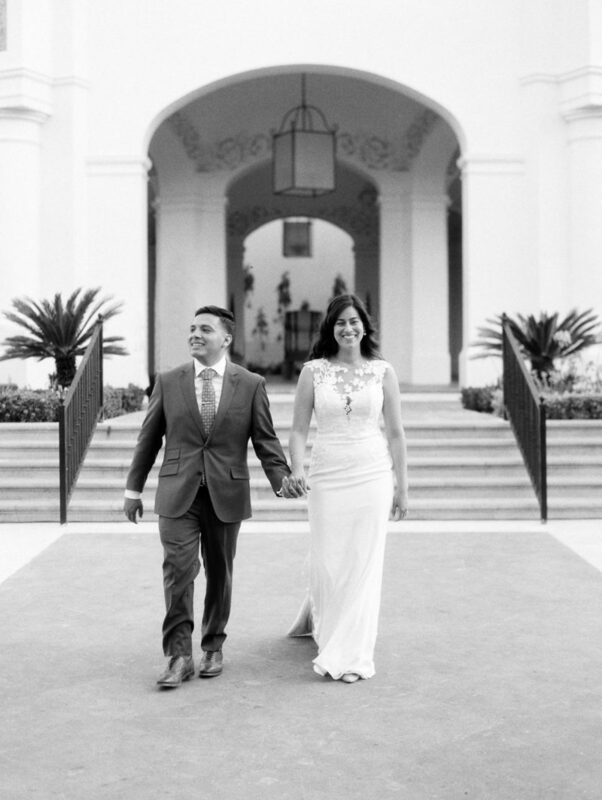 After the ceremony, the mariachi and family followed Arianna and Edgar as they danced down the streets to the Hacienda el Centenario where their guests were greeted with mojitos served with the best Don Cuervo tequila (of course). 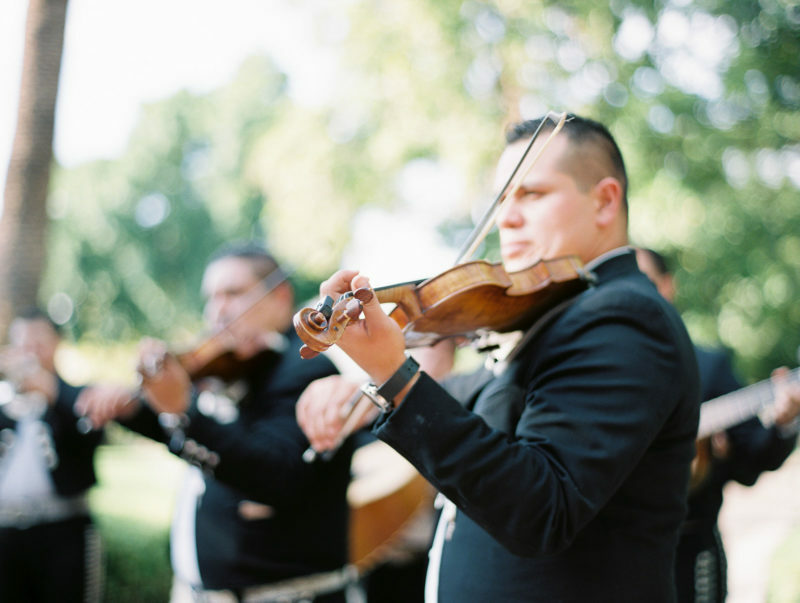 Guest listened to mariachi and watched a charro floreador show that was so festive. 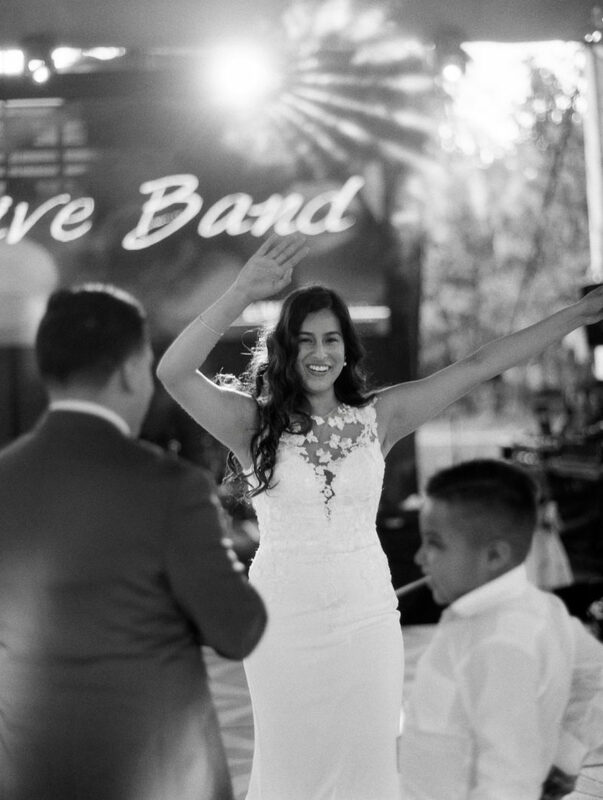 Once the reception area opened guests got a special treat with the amazing live band that had them all singing and dancing. 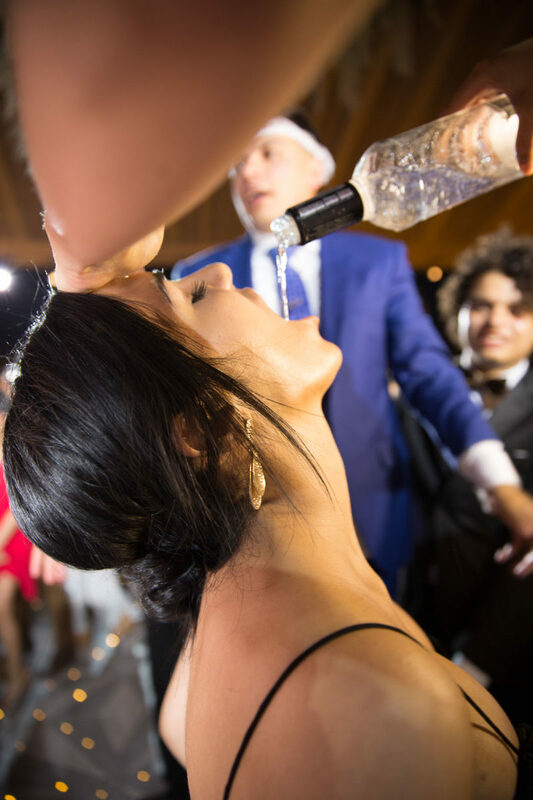 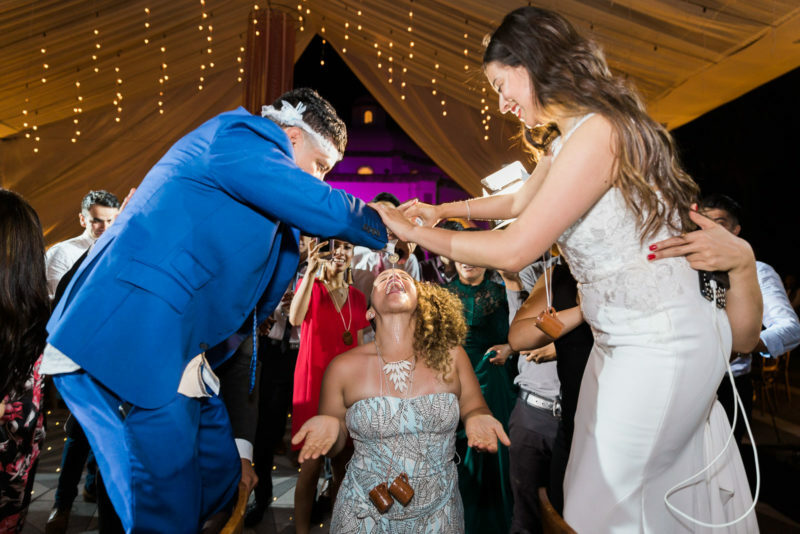 Of course being that they were in Tequila, Arianna and Edgar had a Tequila limbo dance, and let’s just say guests were more than happy to join in on the fun! 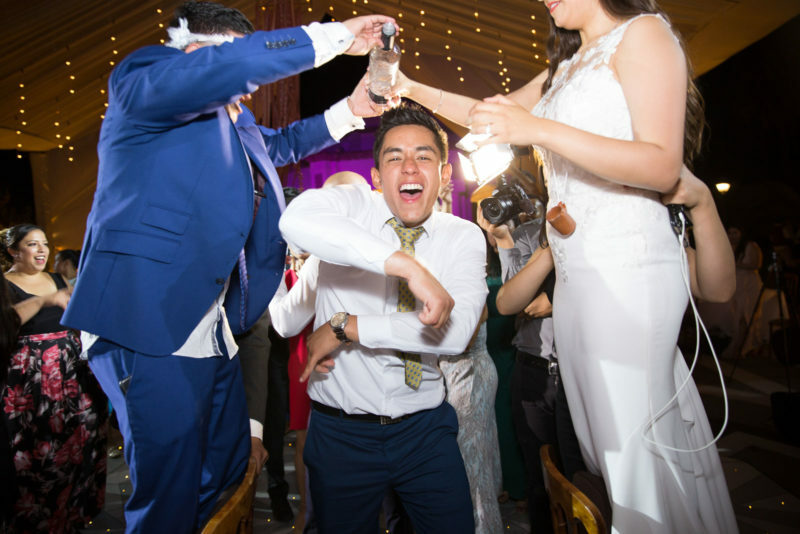 The dancing didn’t end until 3 in the morning and there was a 1:30 am posole meal (hominy dish) that was brought in to make sure guests had enough energy to keep dancing the night away. 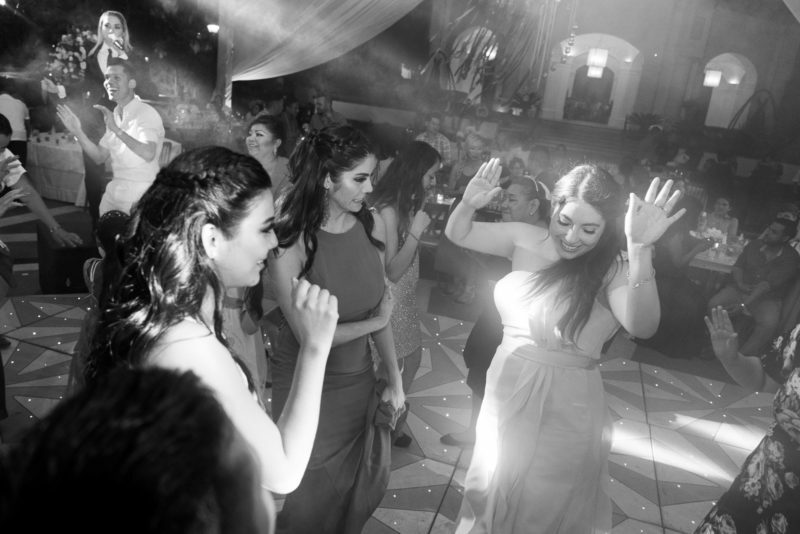 And did they ever dance! 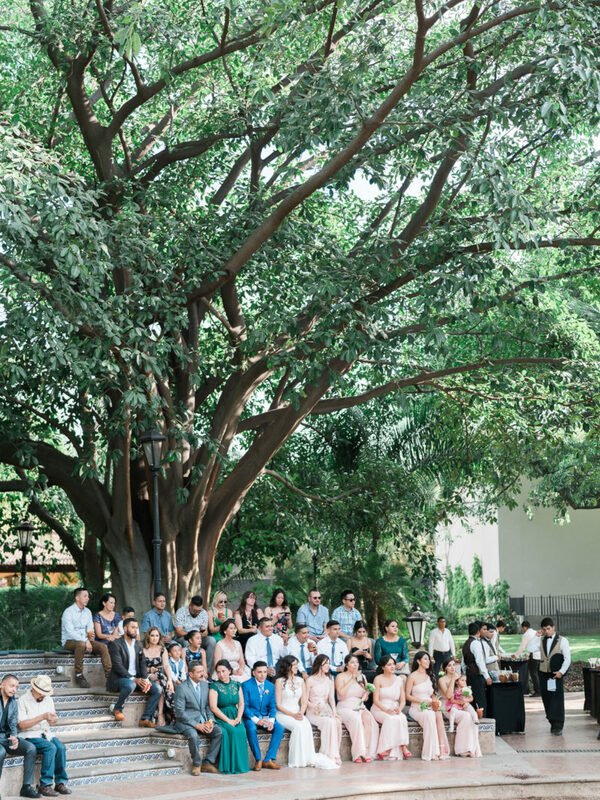 I hardly saw anyone sitting for too long. 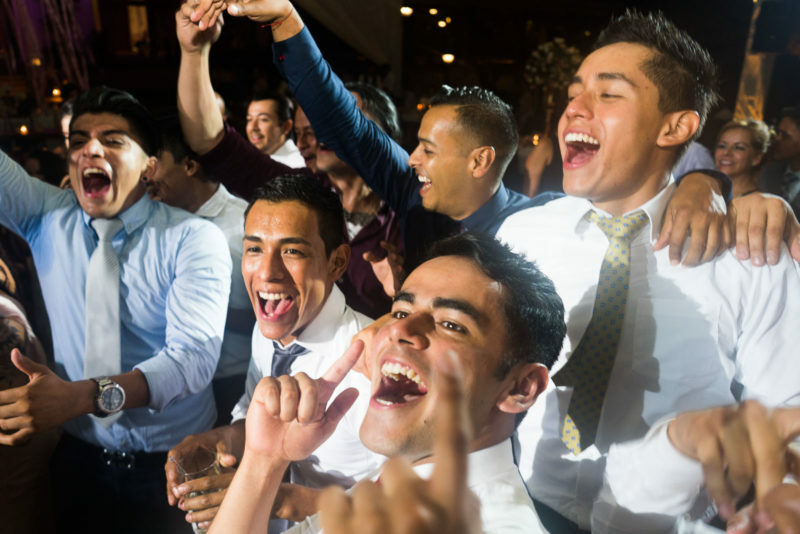 They joy and happiness was so infectious–and you know Latinos, when there’s music, we gotta dance! 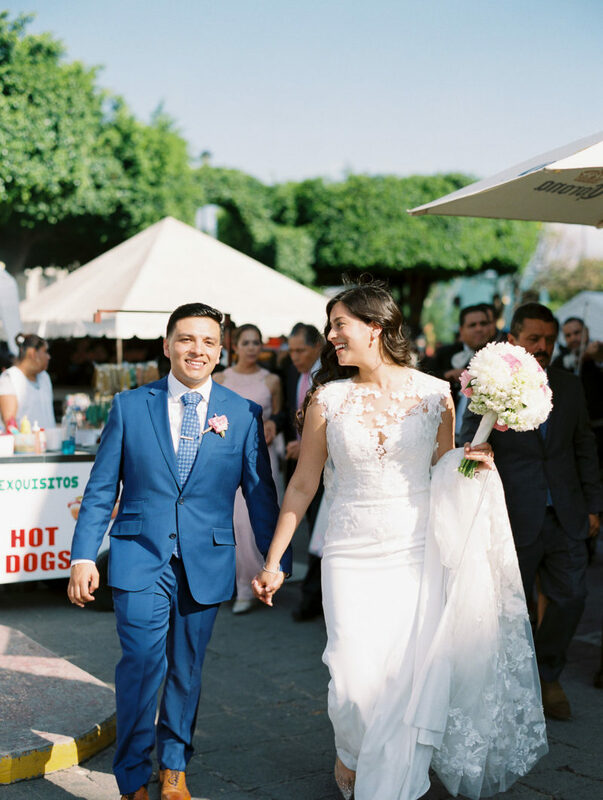 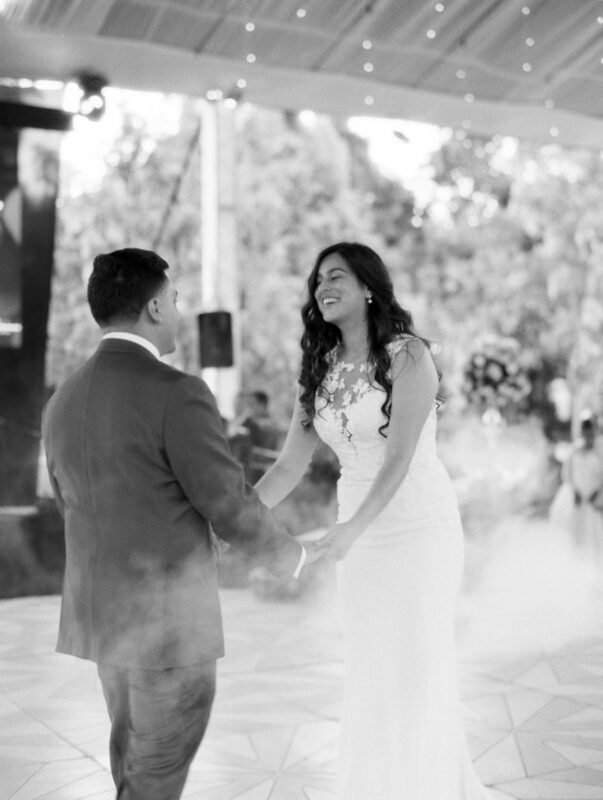 Arianna and Edgar I am so privileged that I was able to document your Hacienda el Centenario wedding! 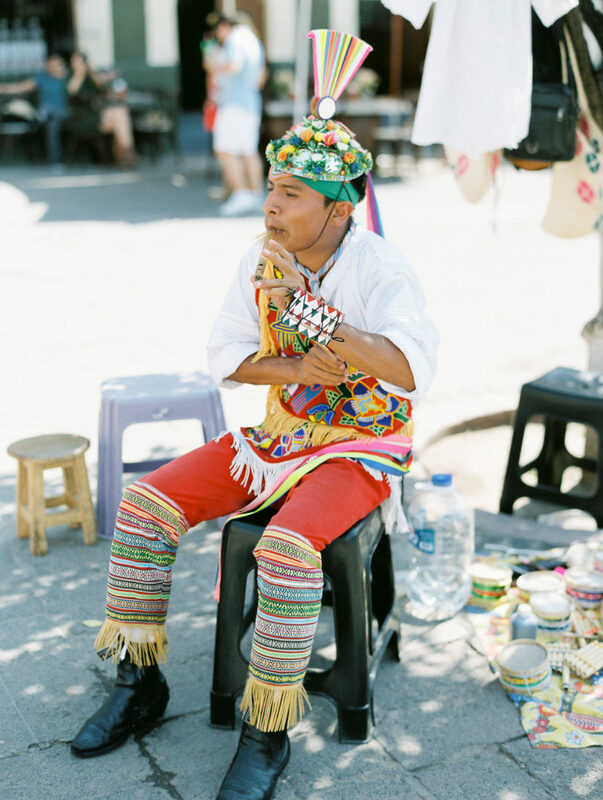 That evening when I walked back to the hotel I could hear the music as it grew fainter and fainter. 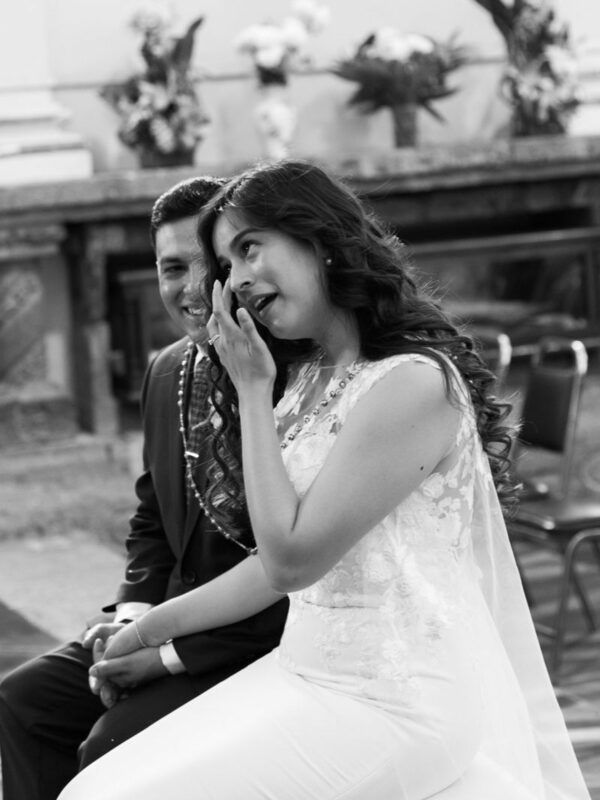 I started getting teary eyed. 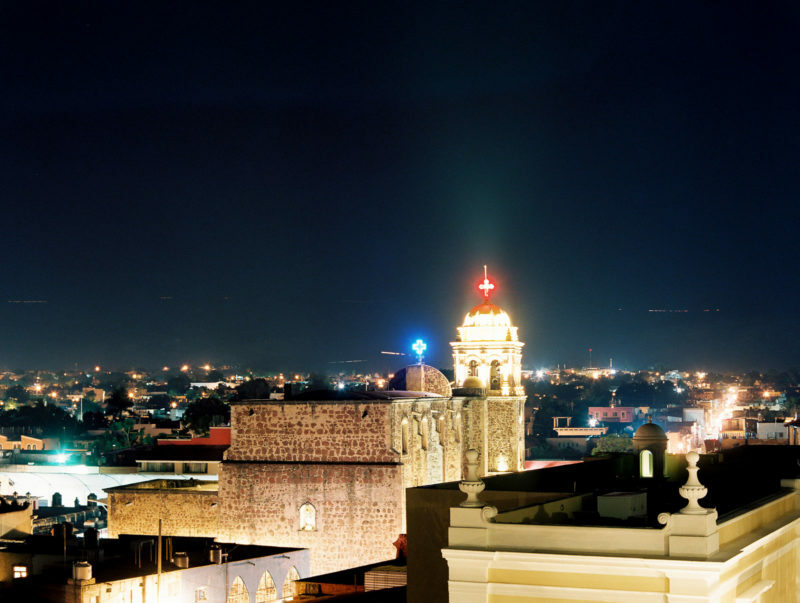 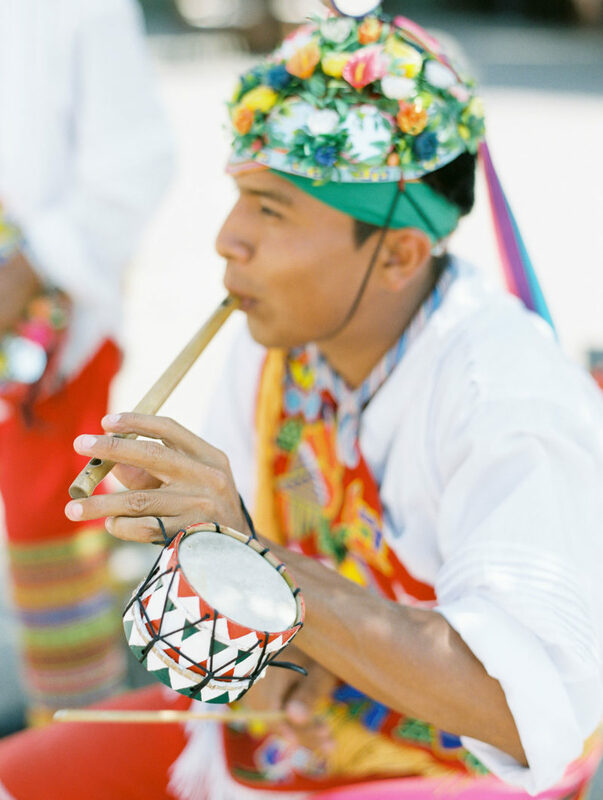 I love my culture and I love Mexico. 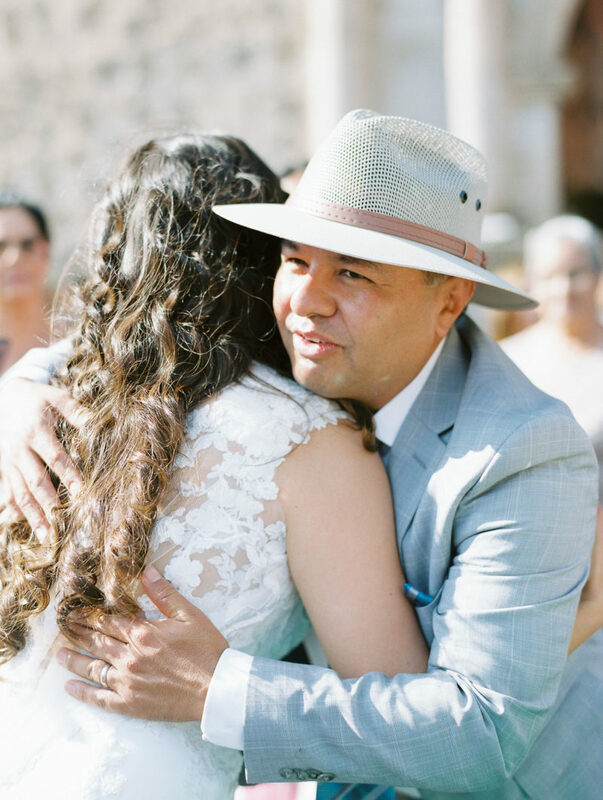 Documenting your wedding did my soul so much good. 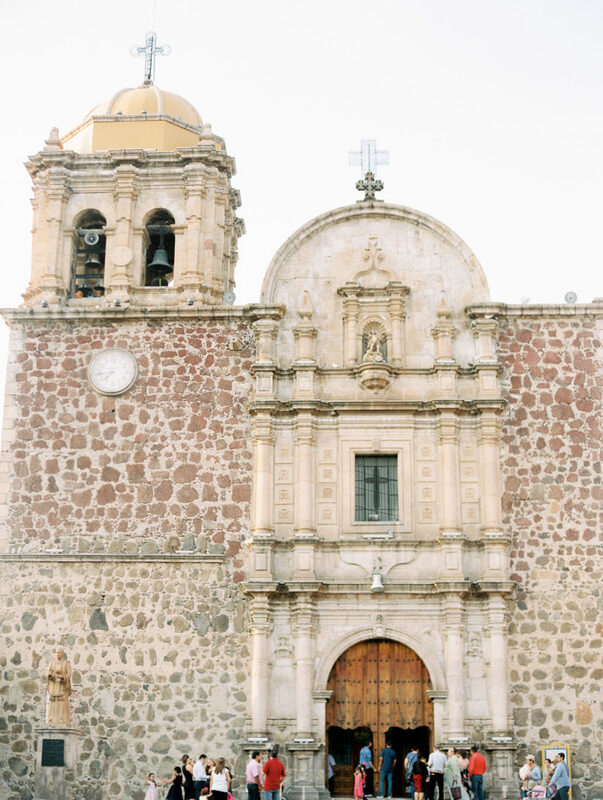 It felt like my heart got a big hug and I can’t wait to go back to my Mexico lindo y querido.